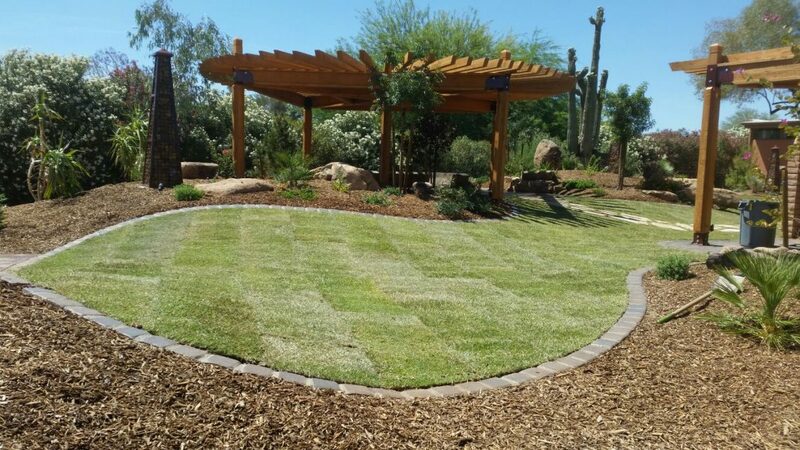 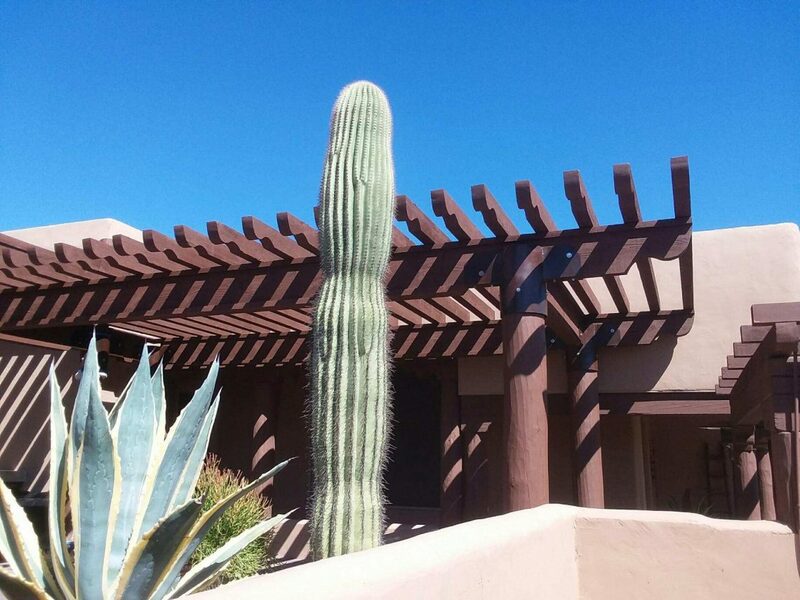 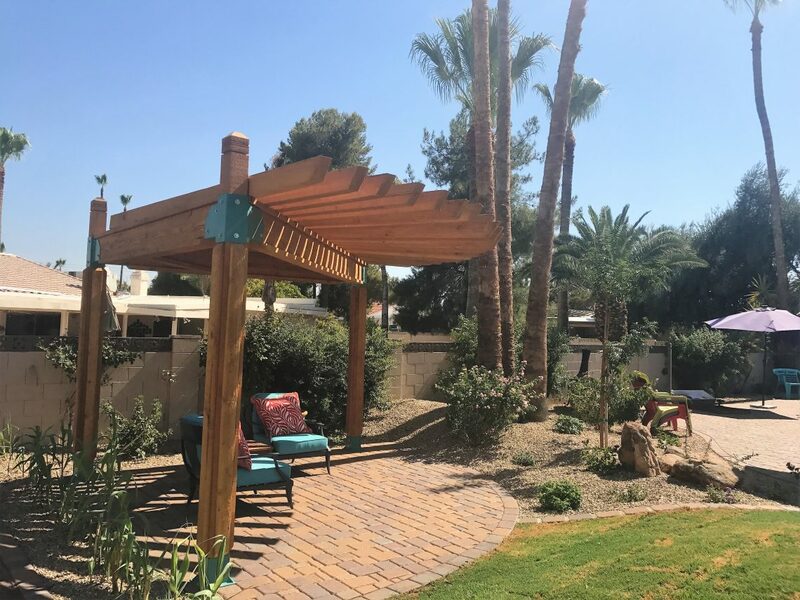 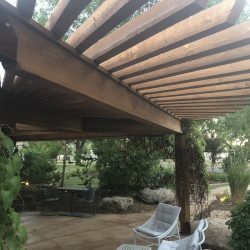 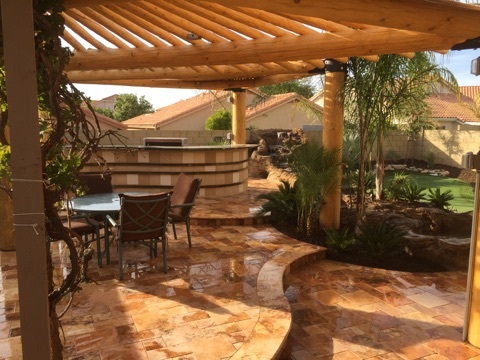 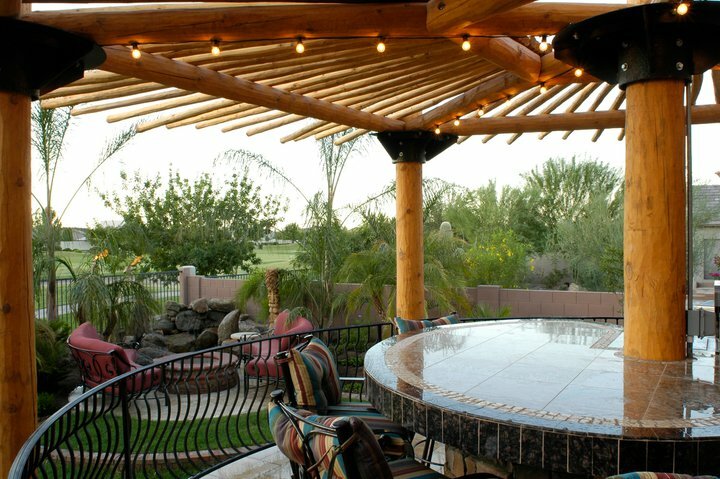 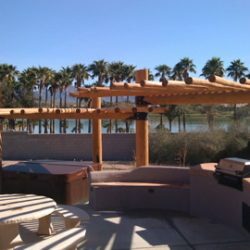 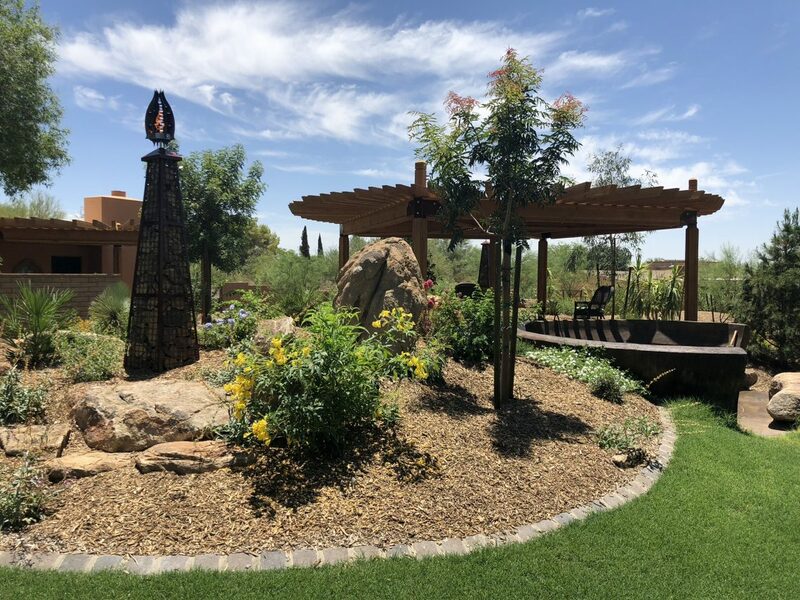 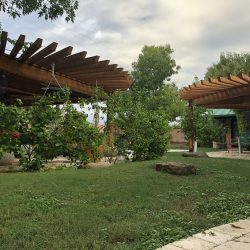 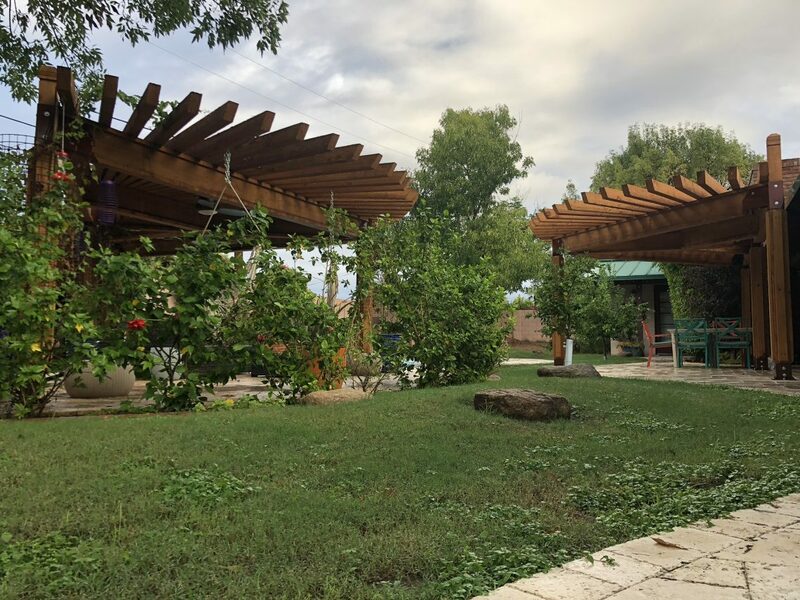 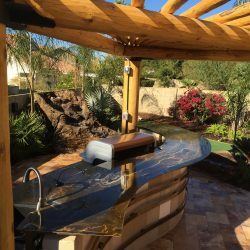 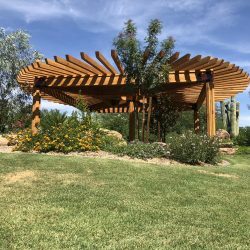 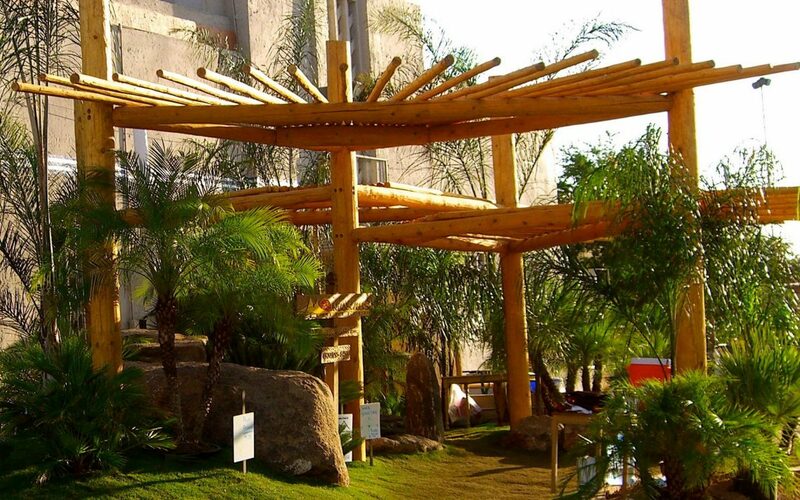 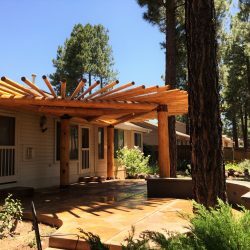 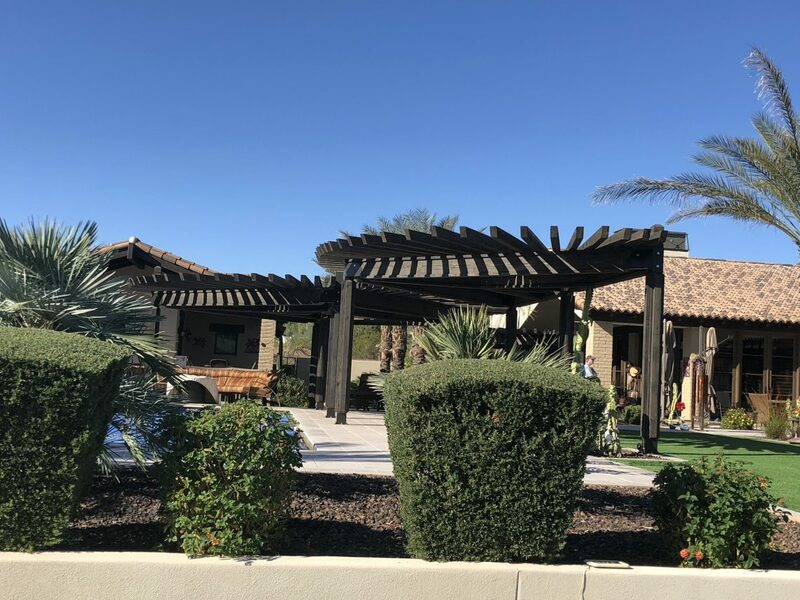 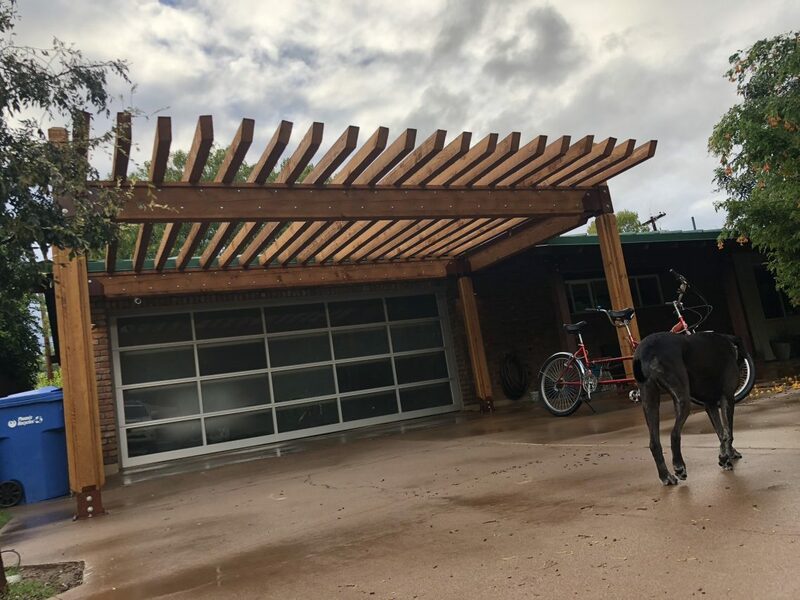 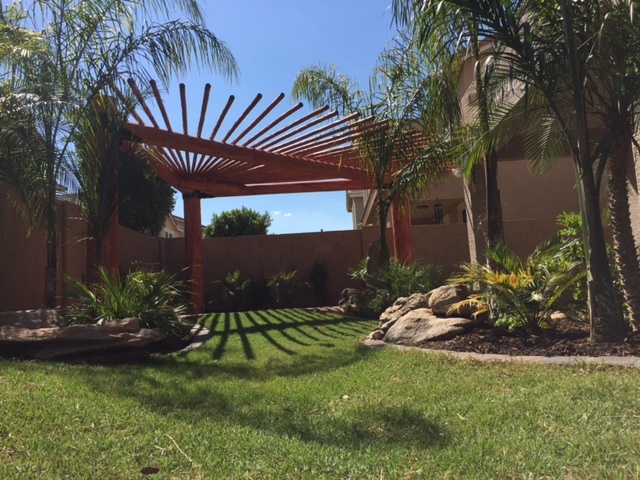 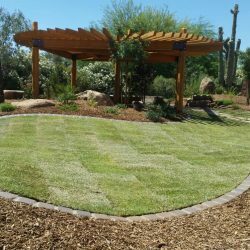 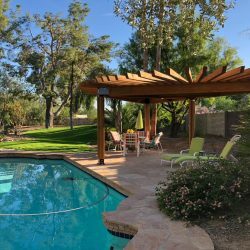 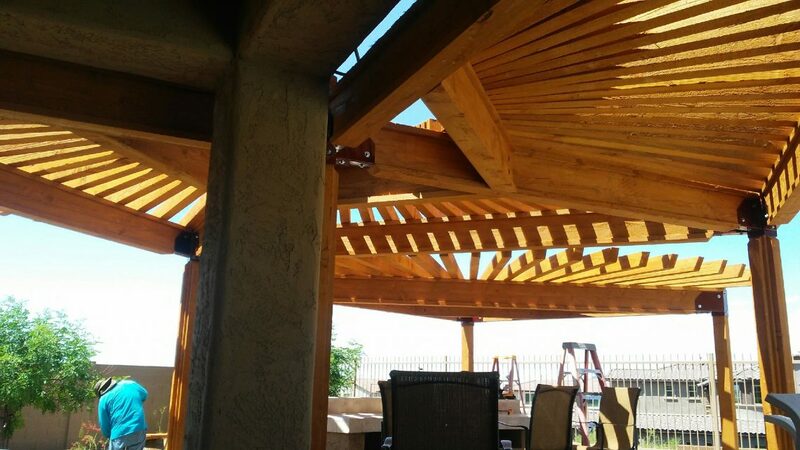 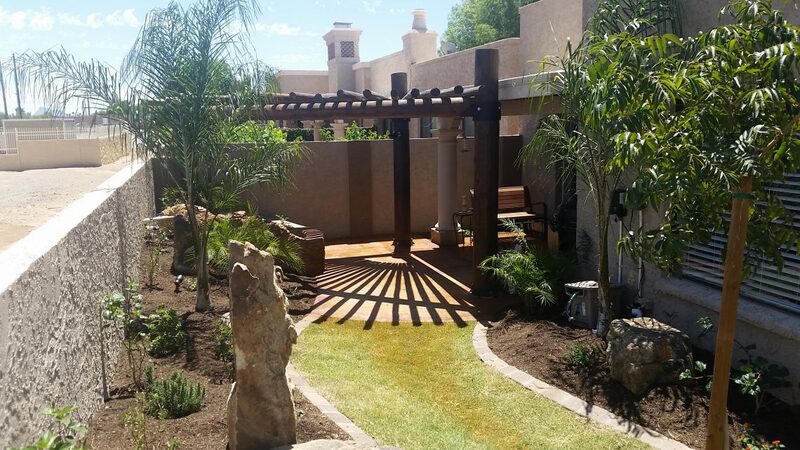 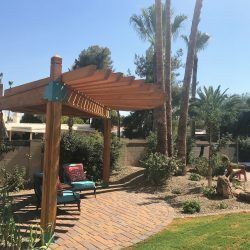 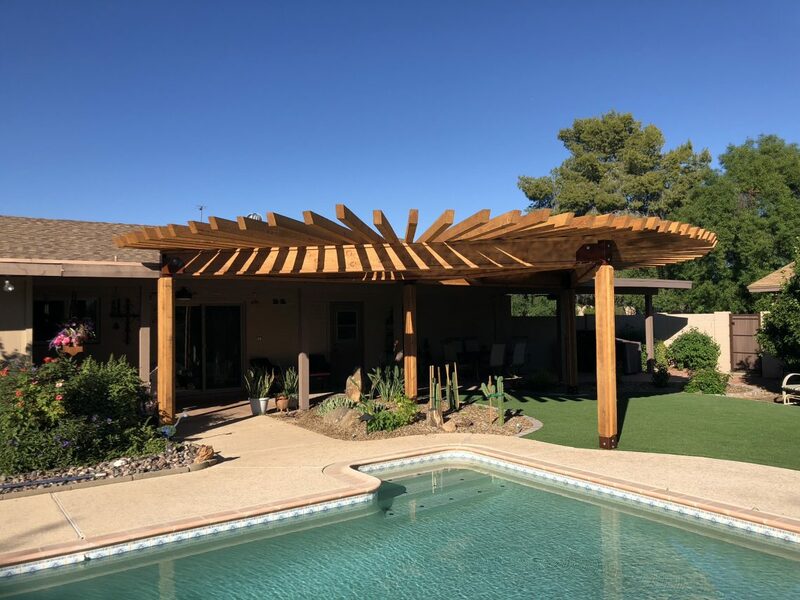 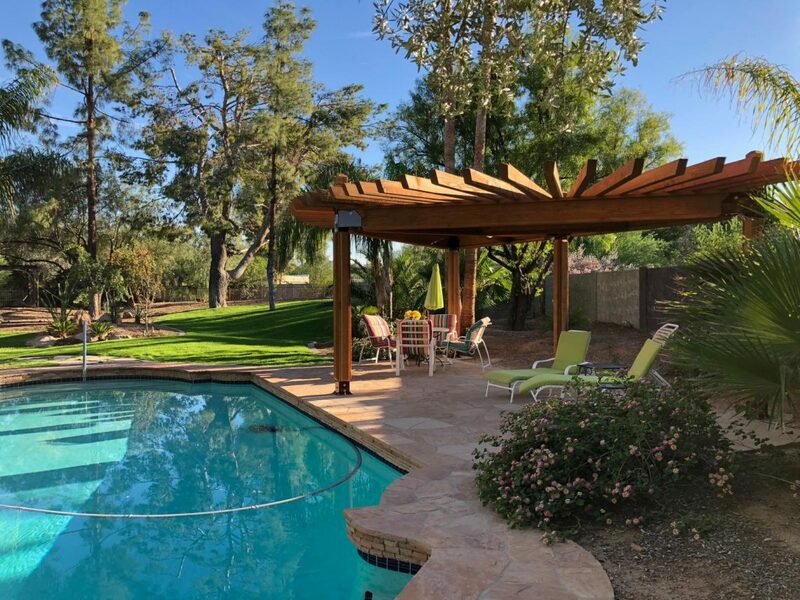 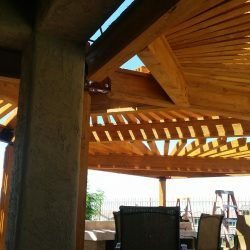 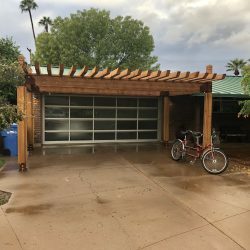 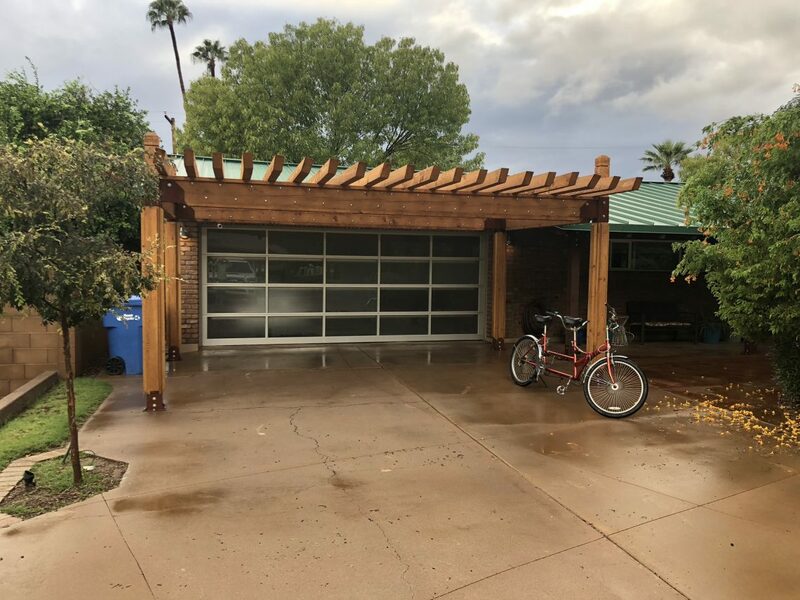 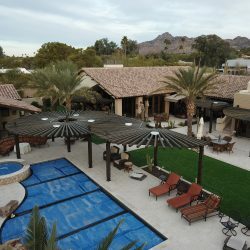 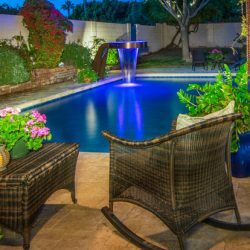 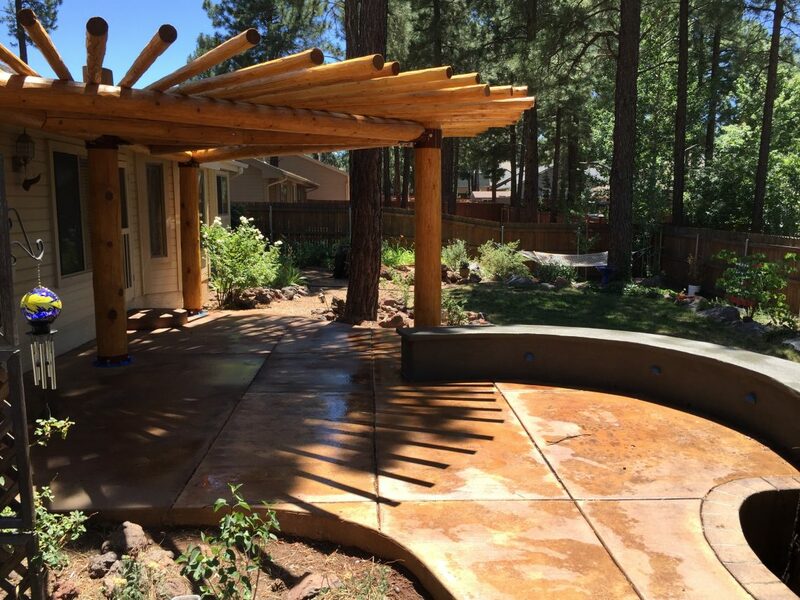 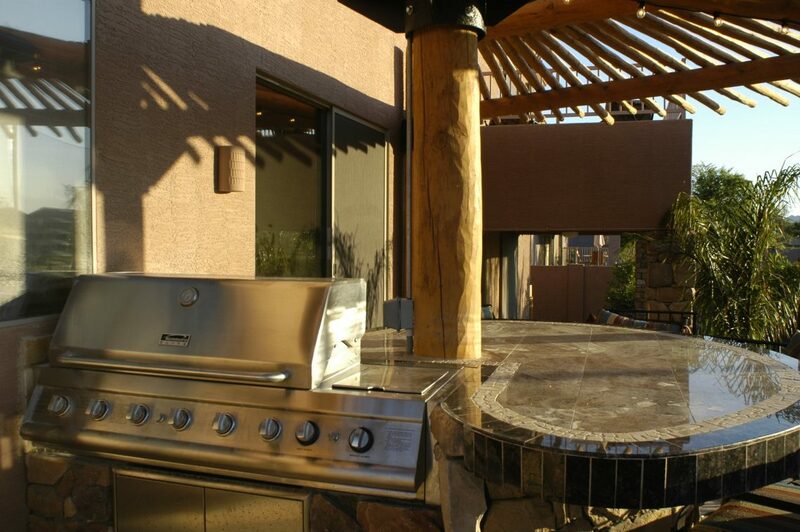 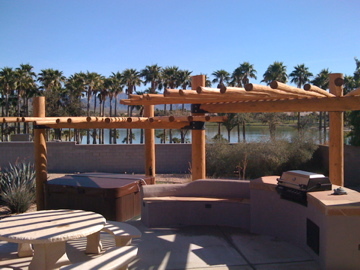 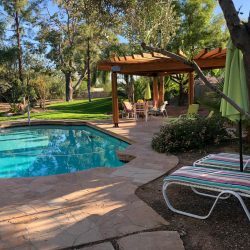 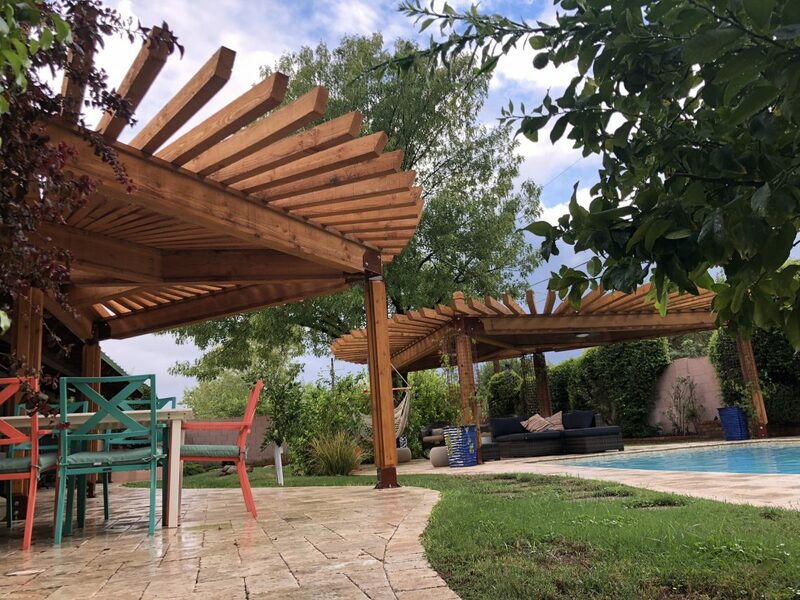 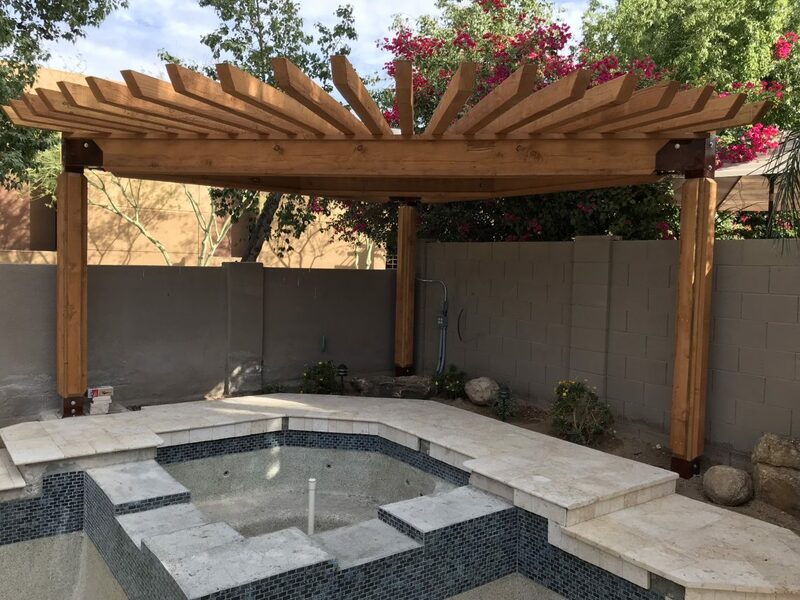 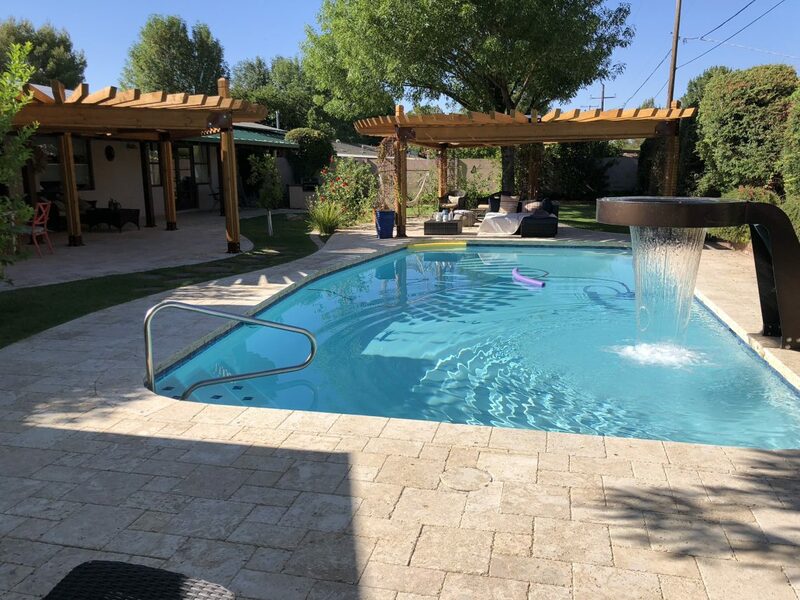 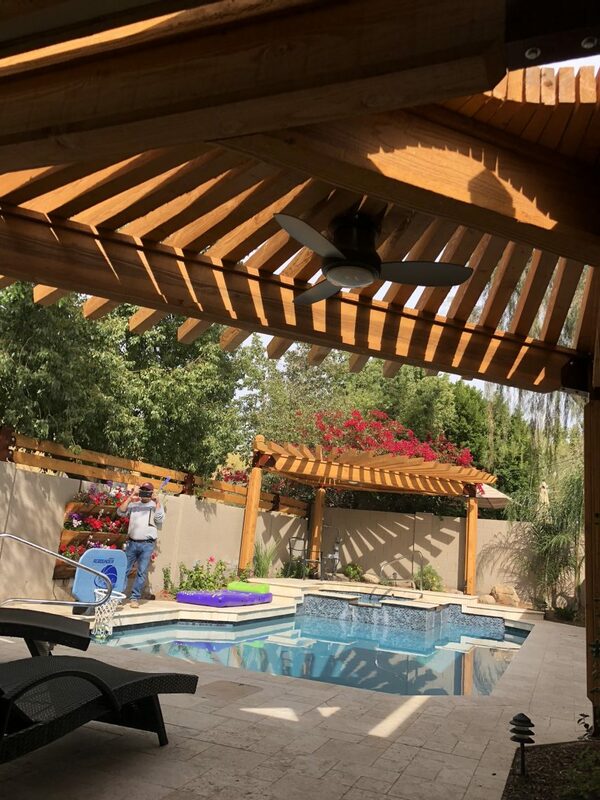 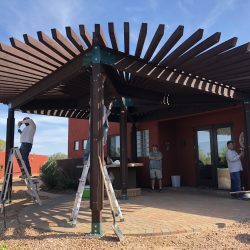 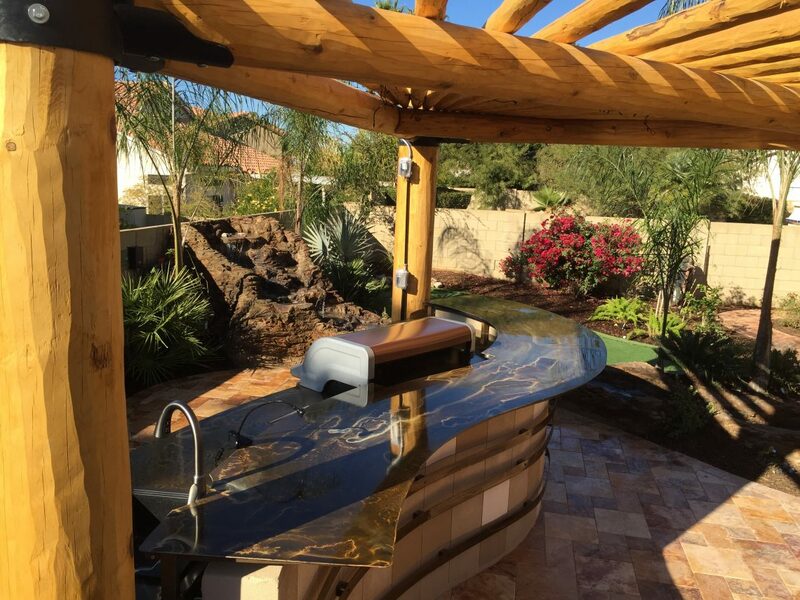 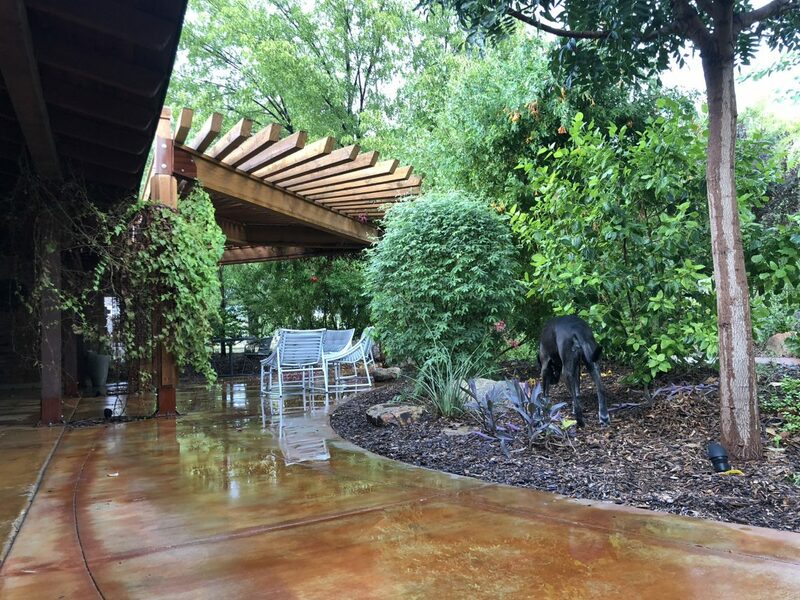 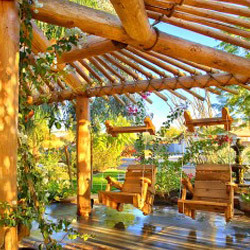 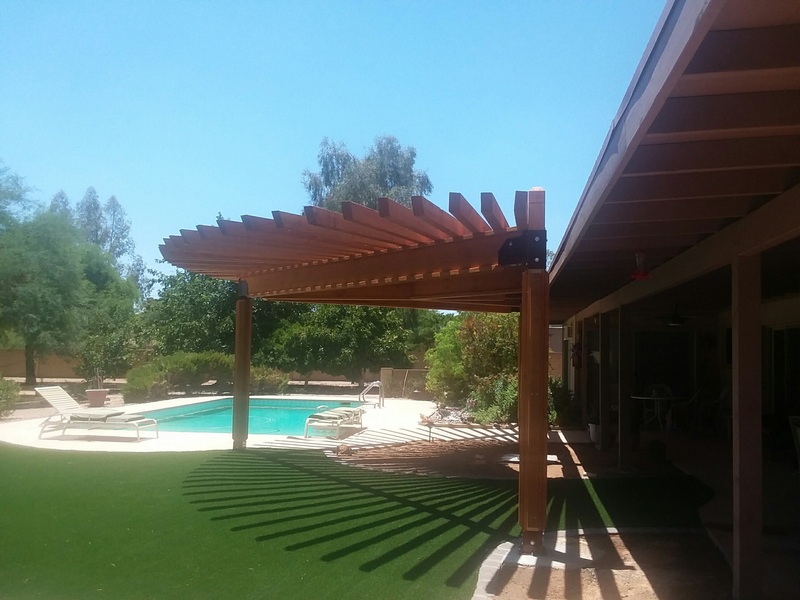 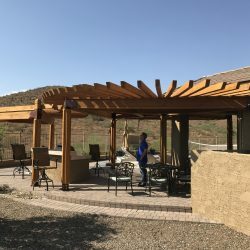 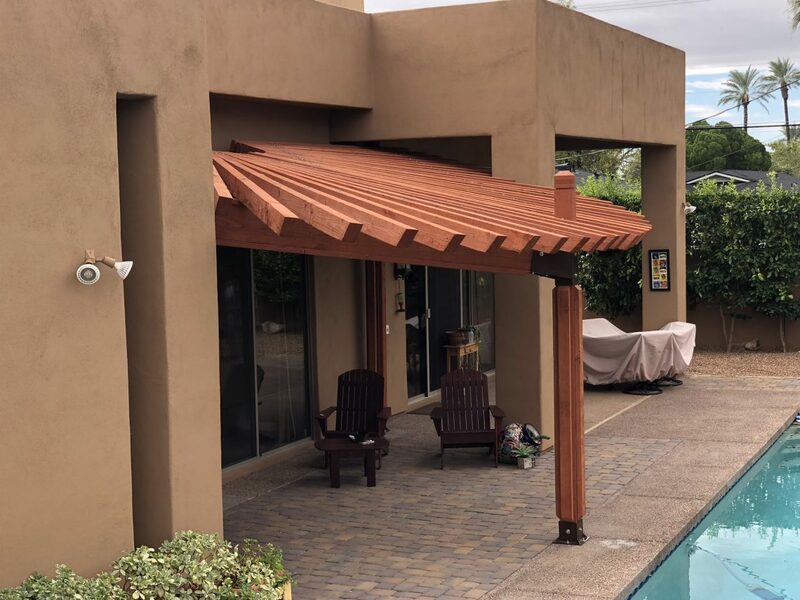 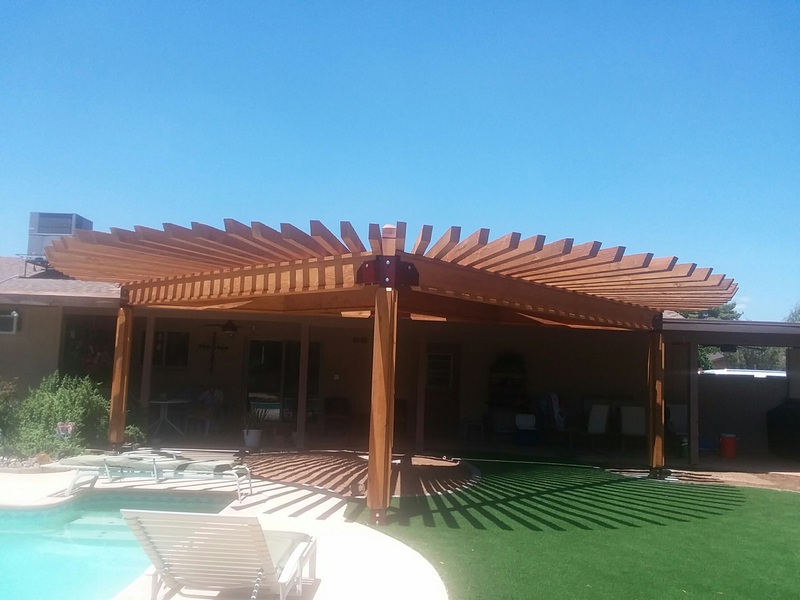 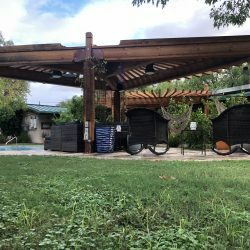 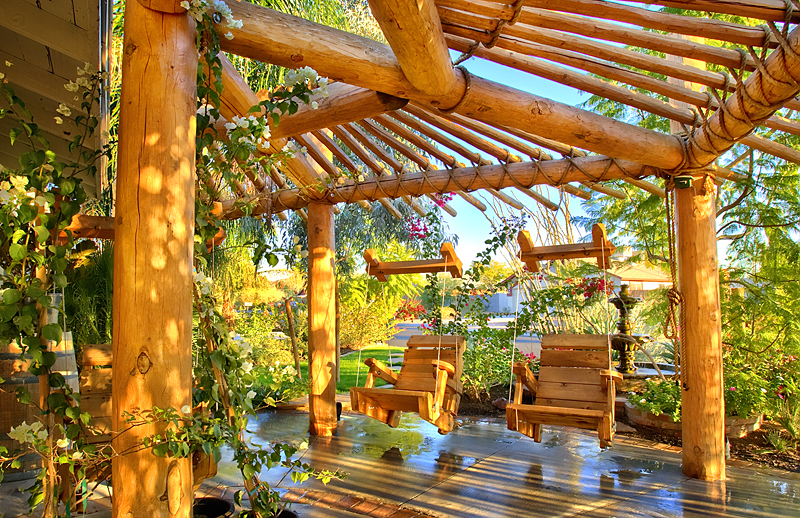 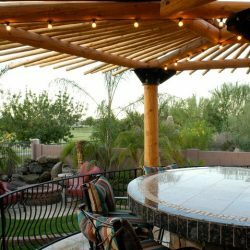 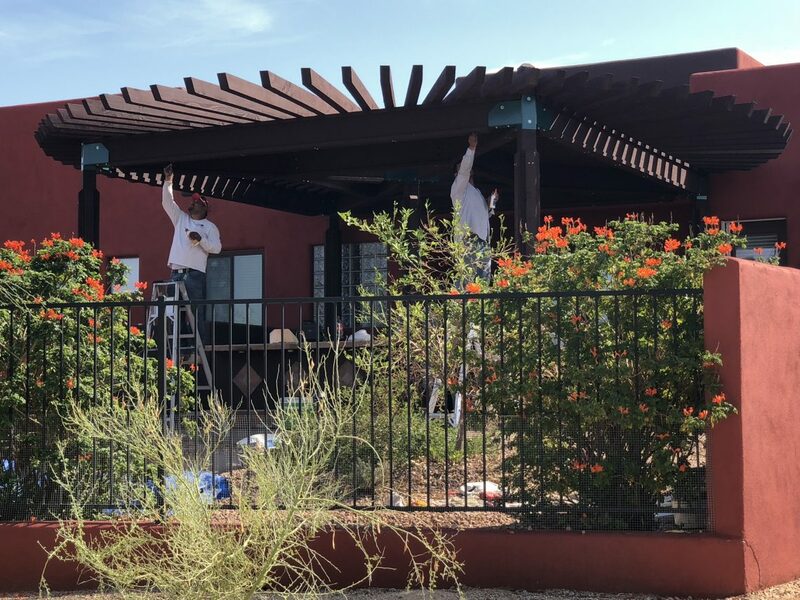 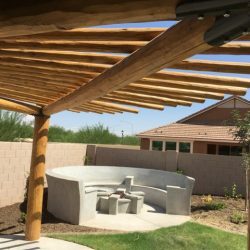 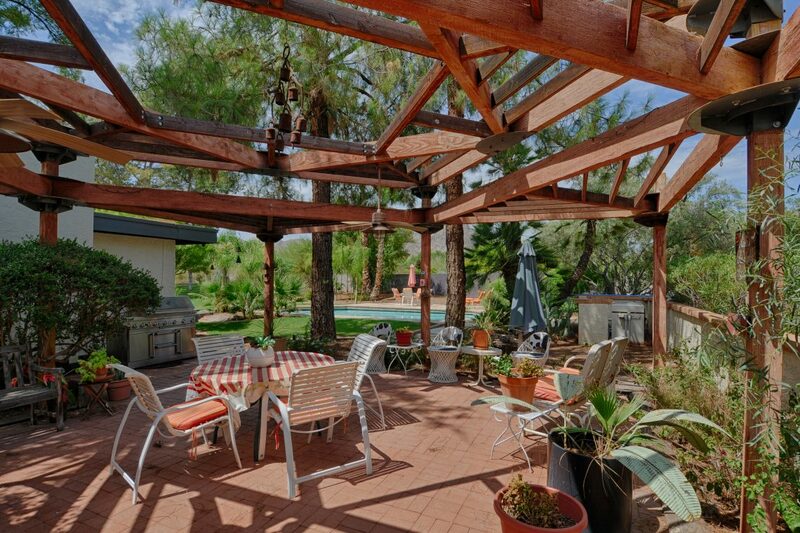 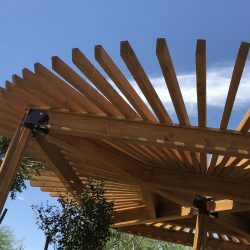 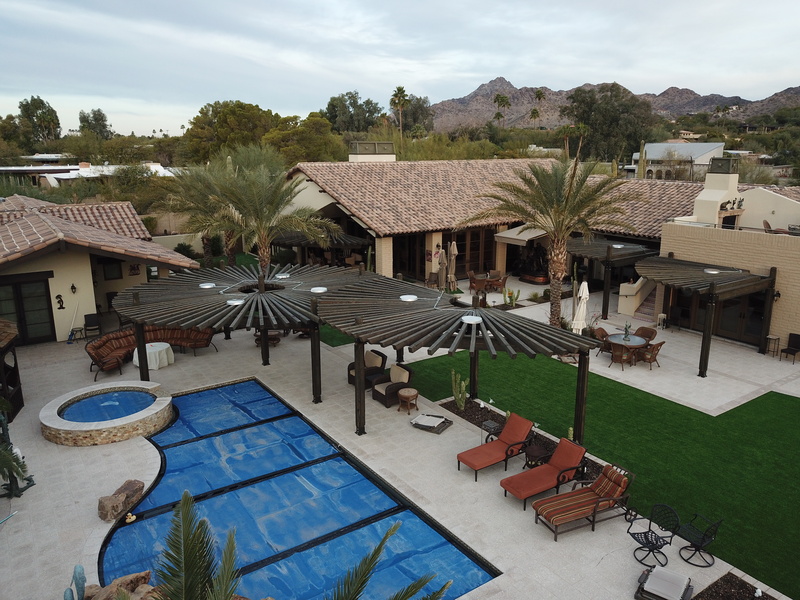 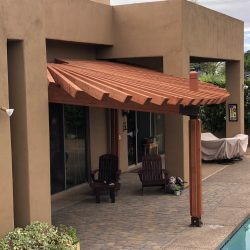 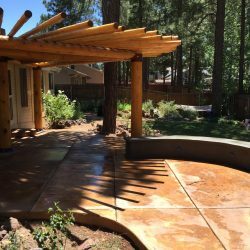 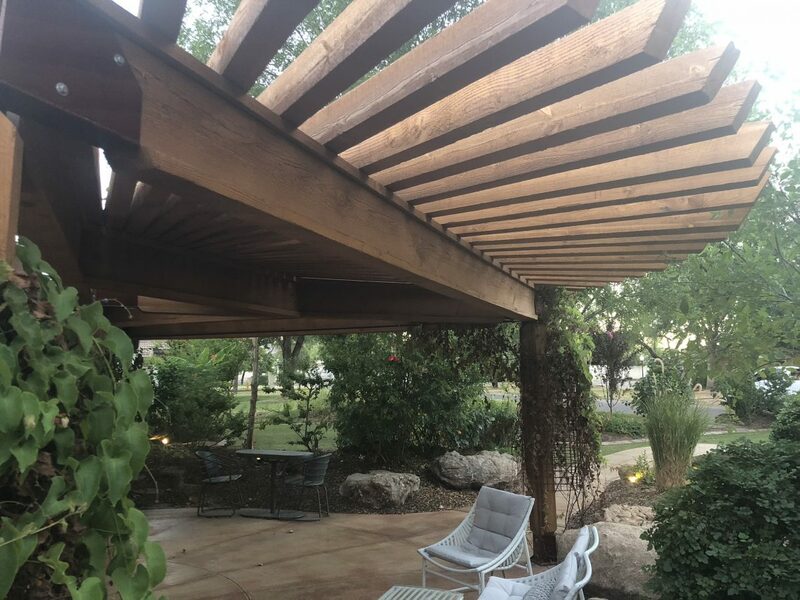 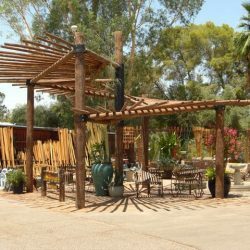 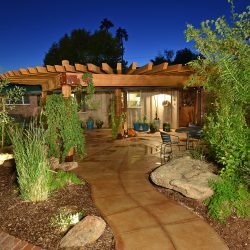 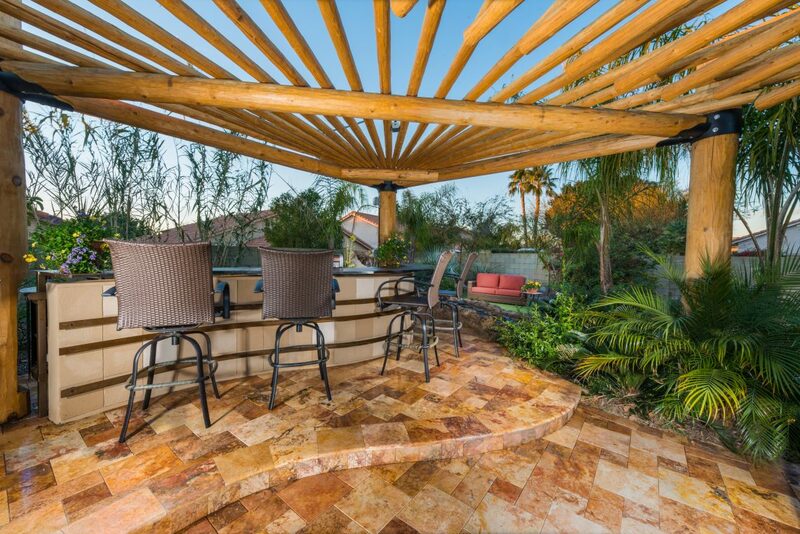 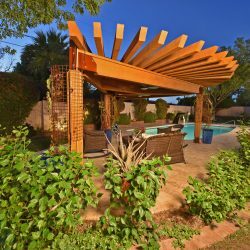 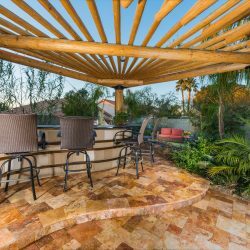 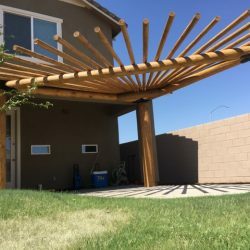 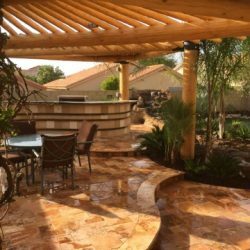 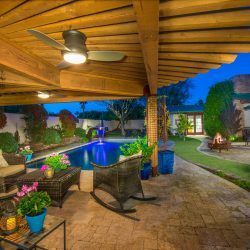 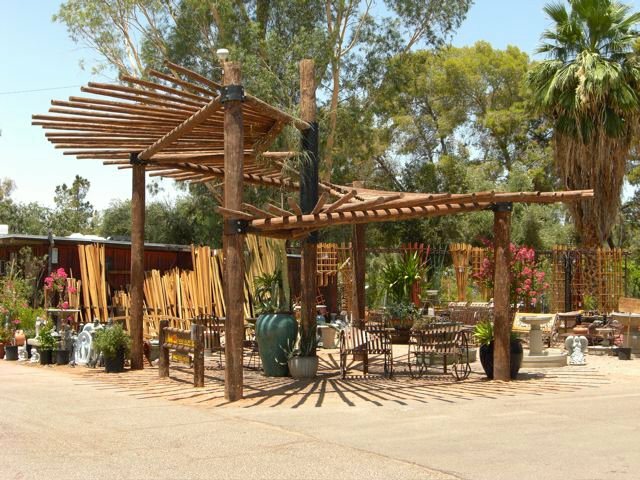 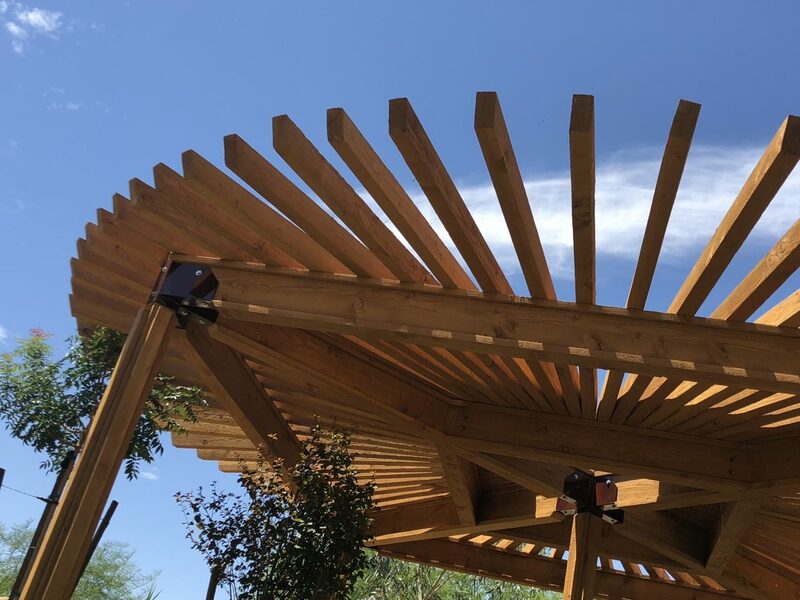 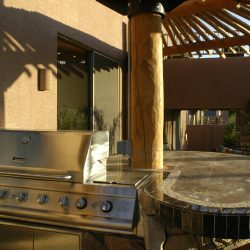 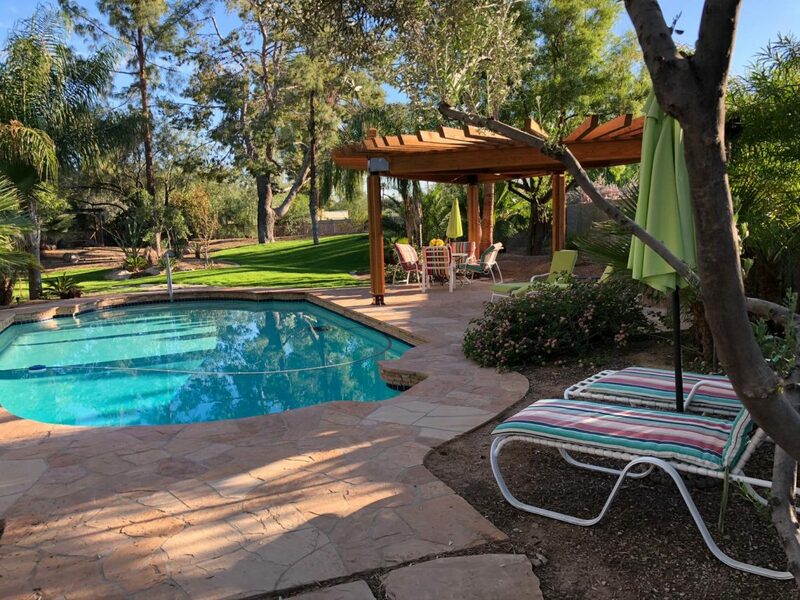 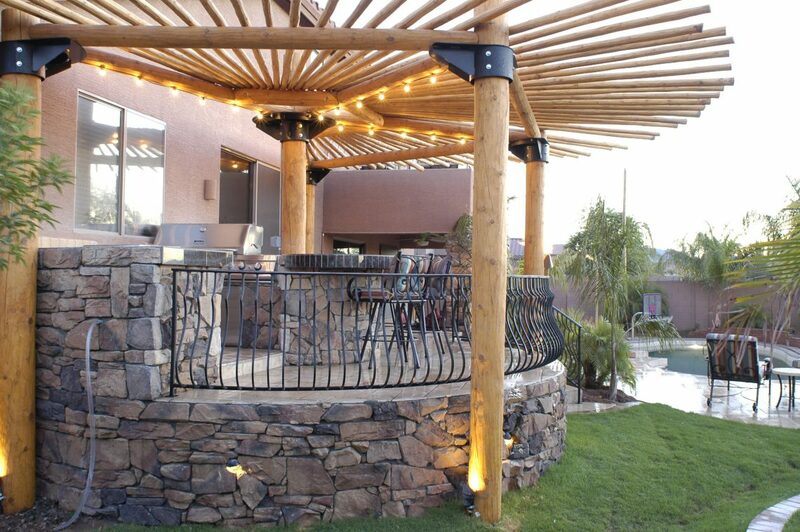 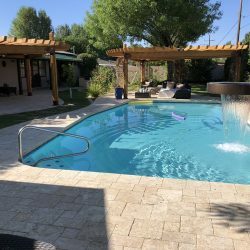 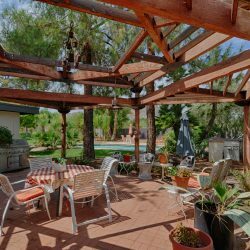 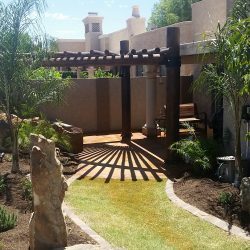 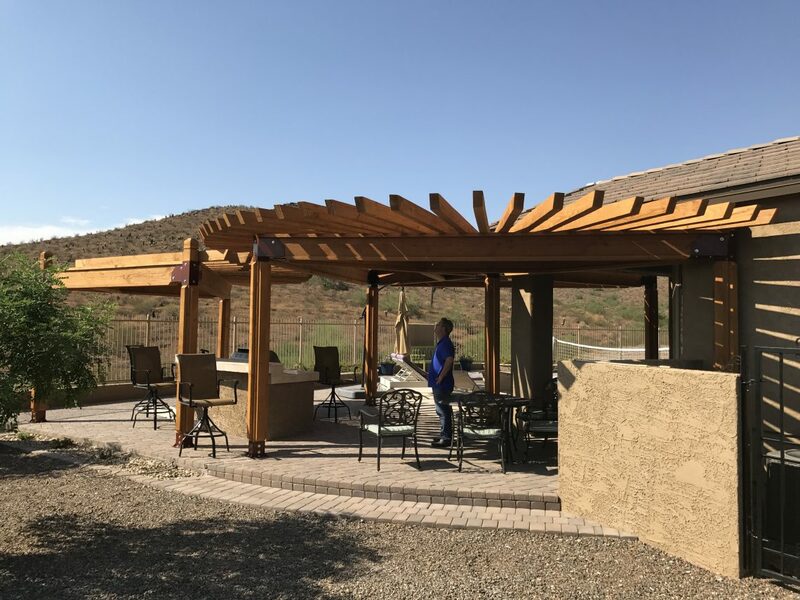 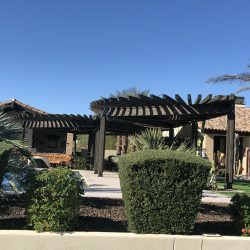 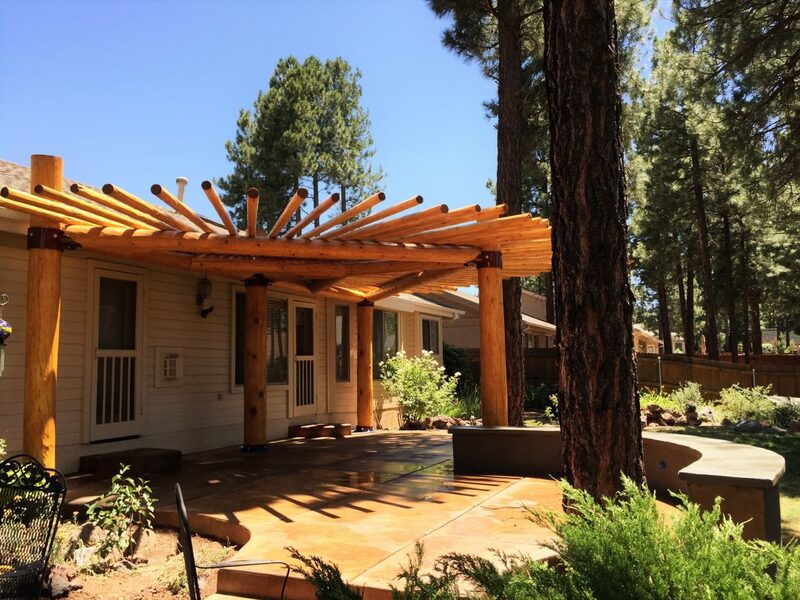 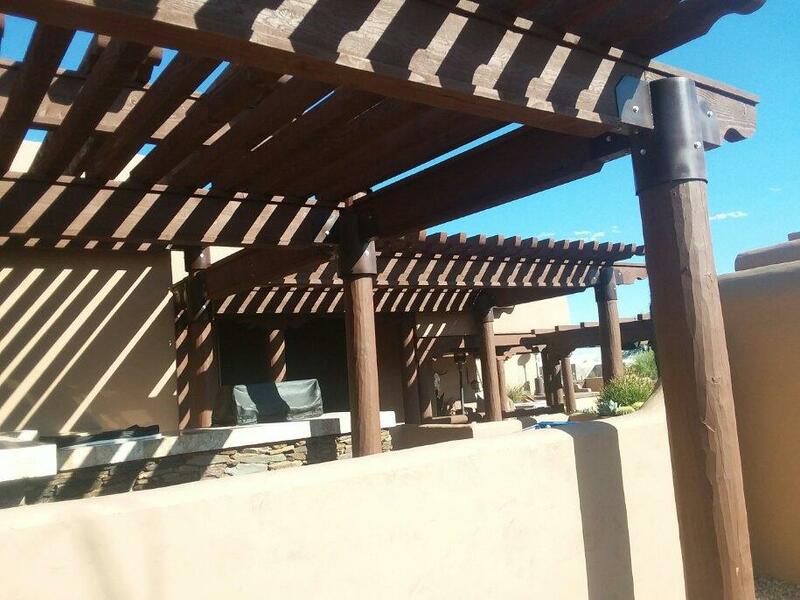 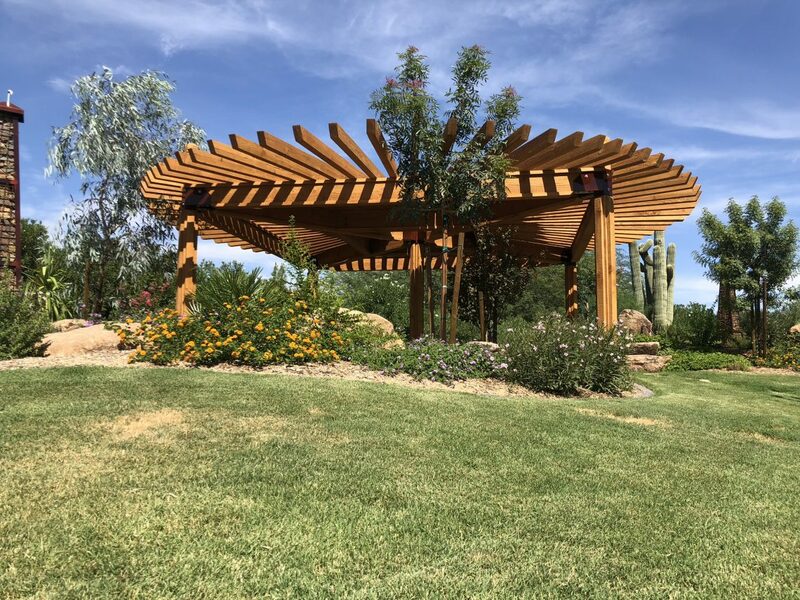 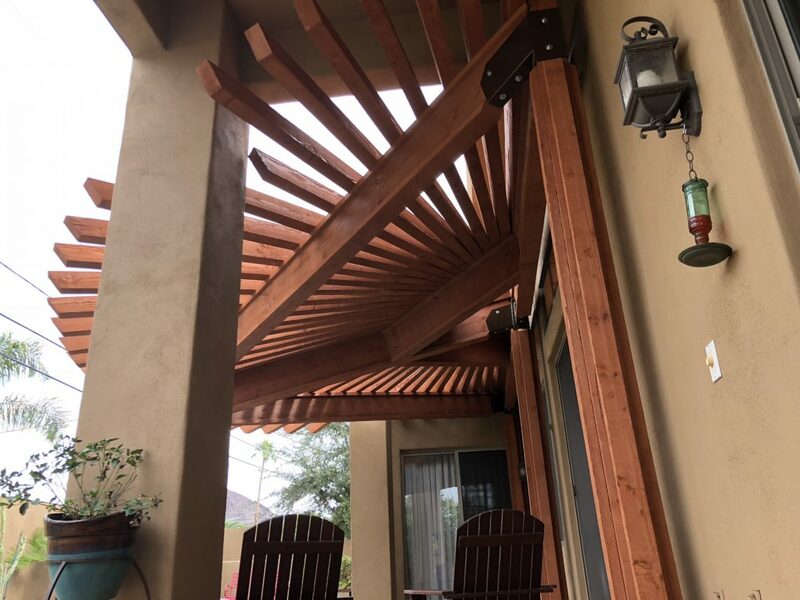 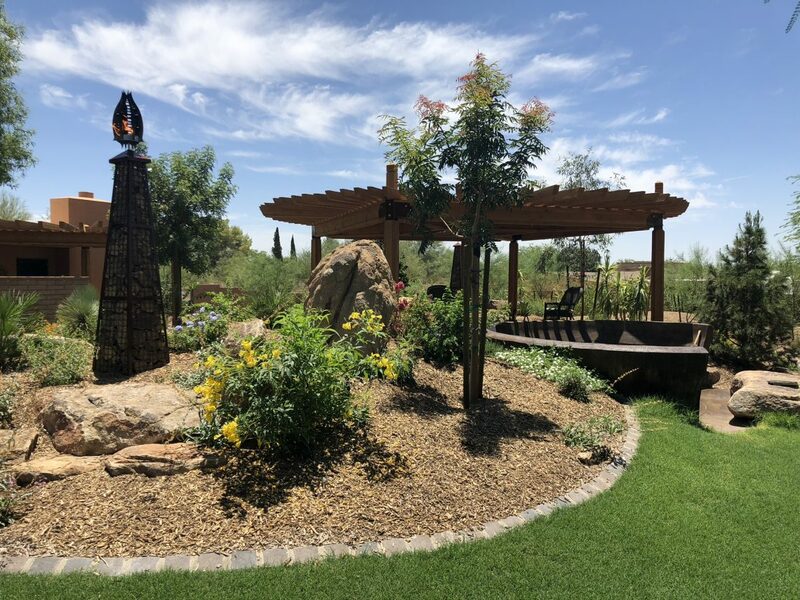 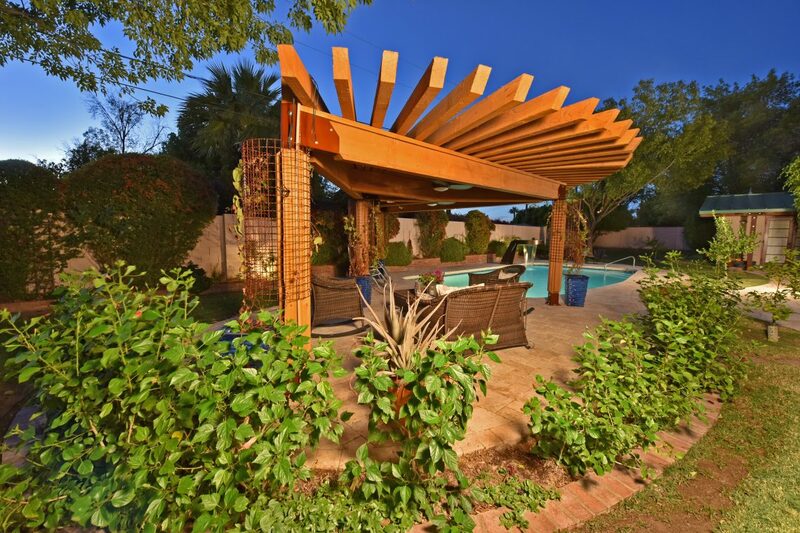 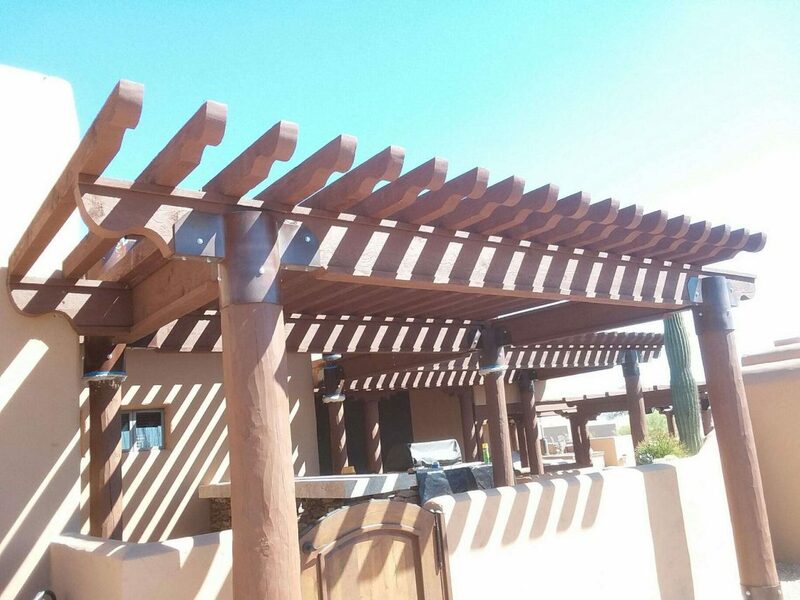 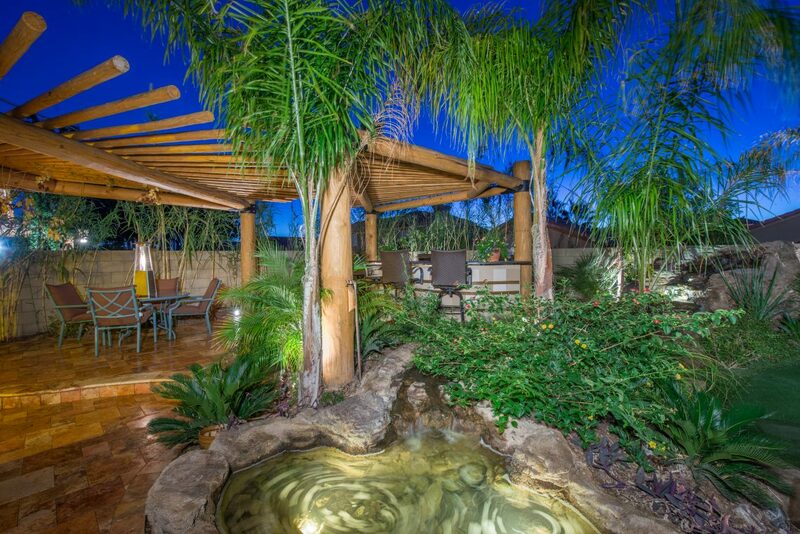 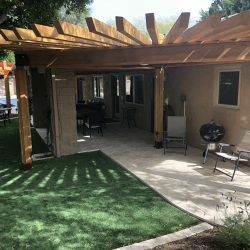 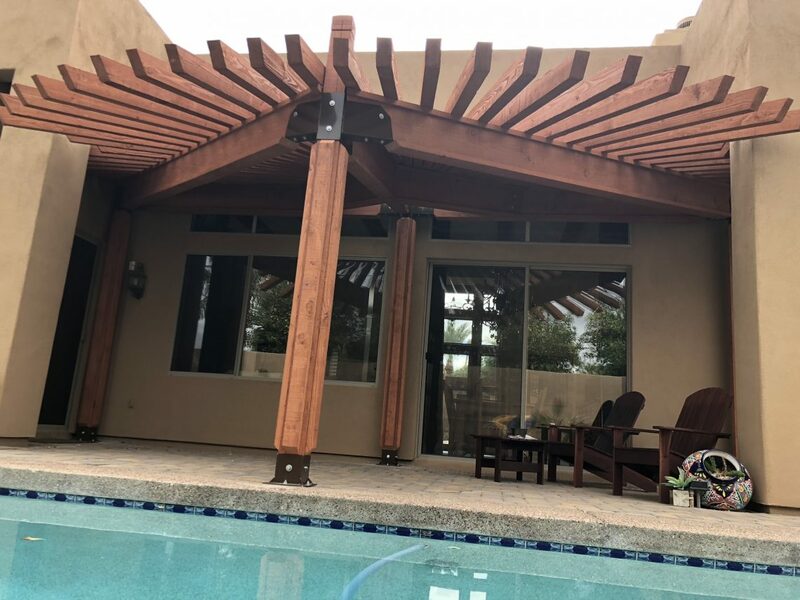 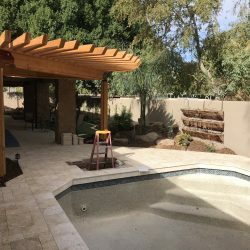 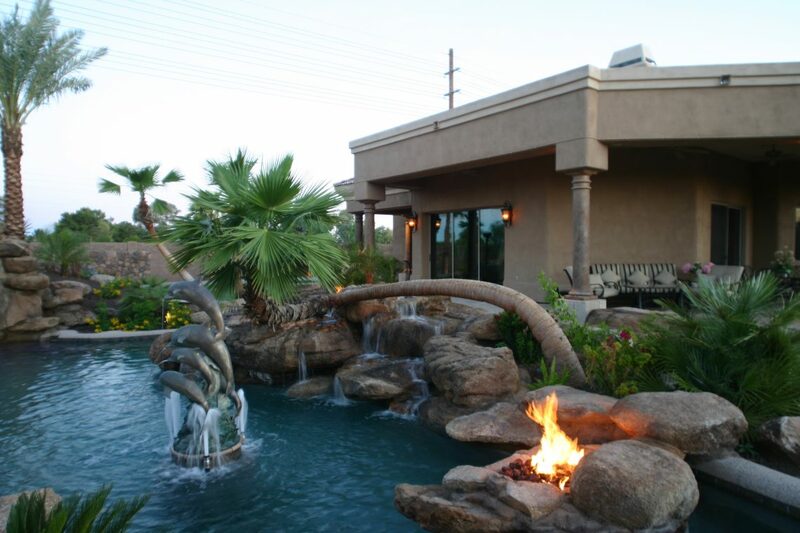 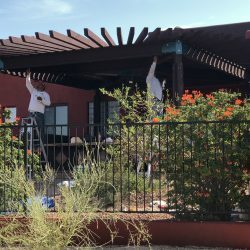 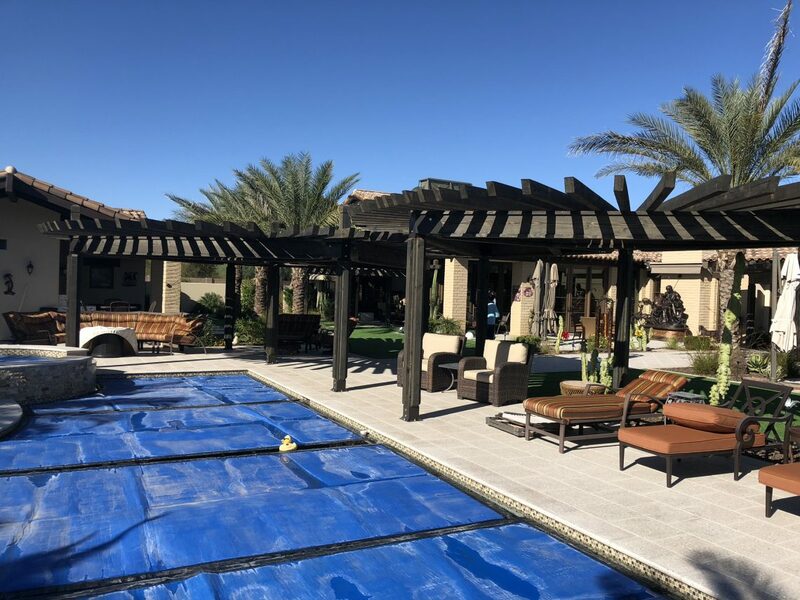 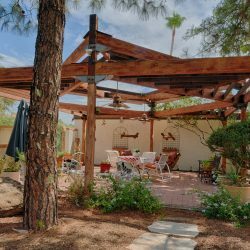 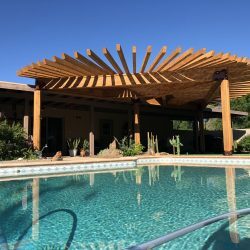 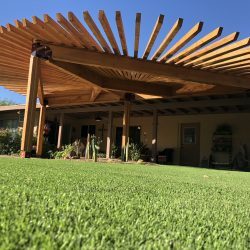 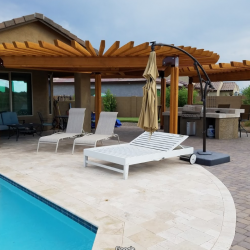 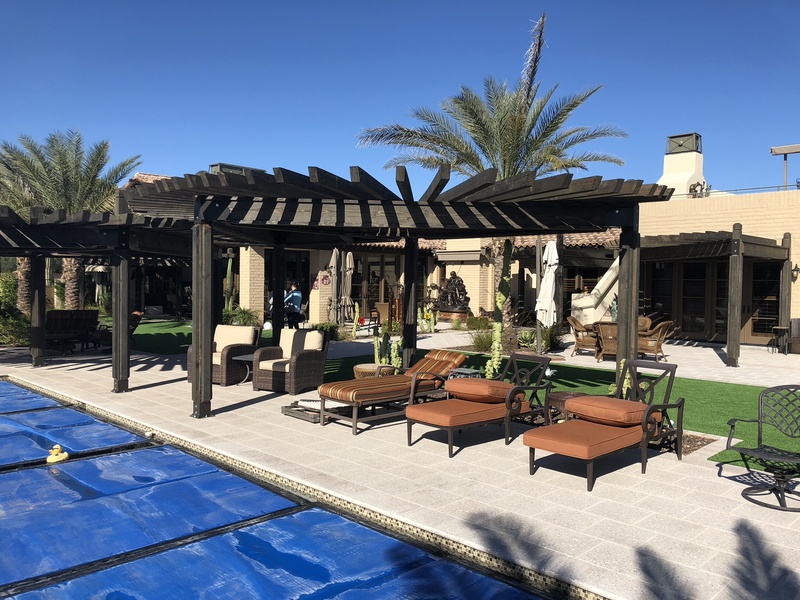 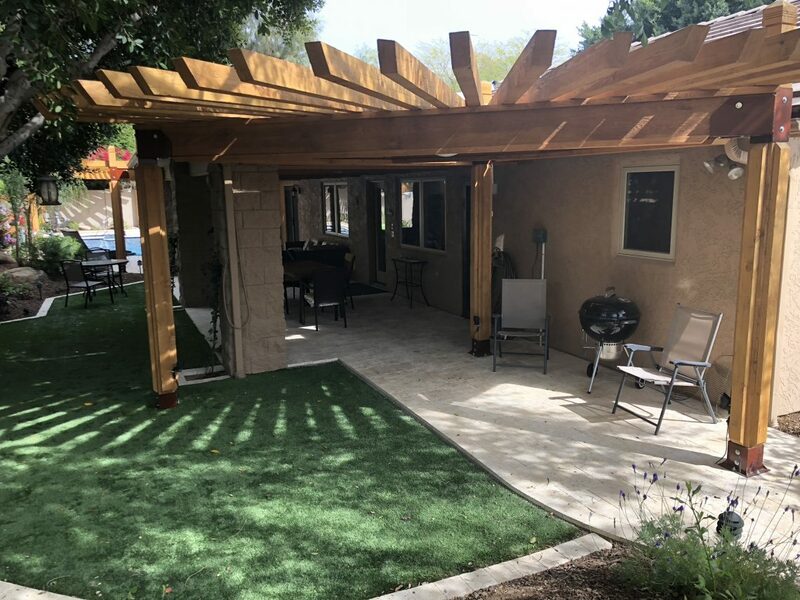 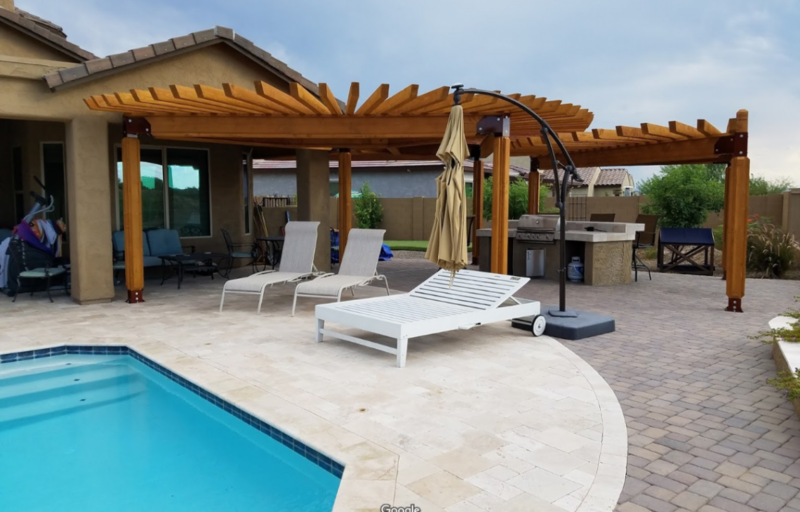 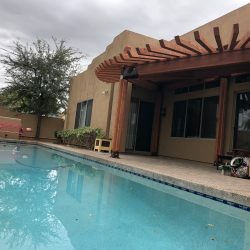 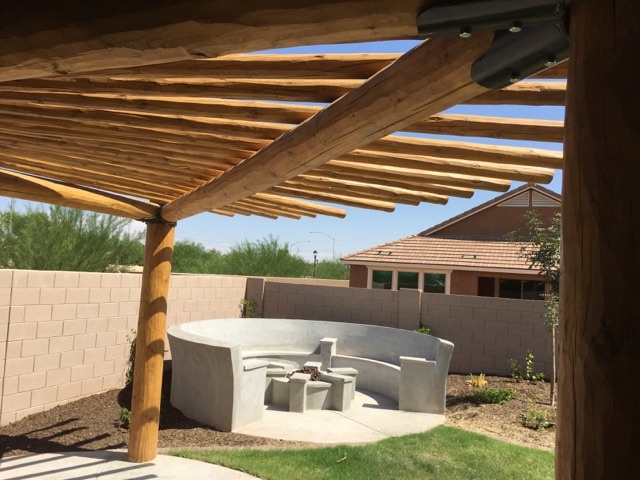 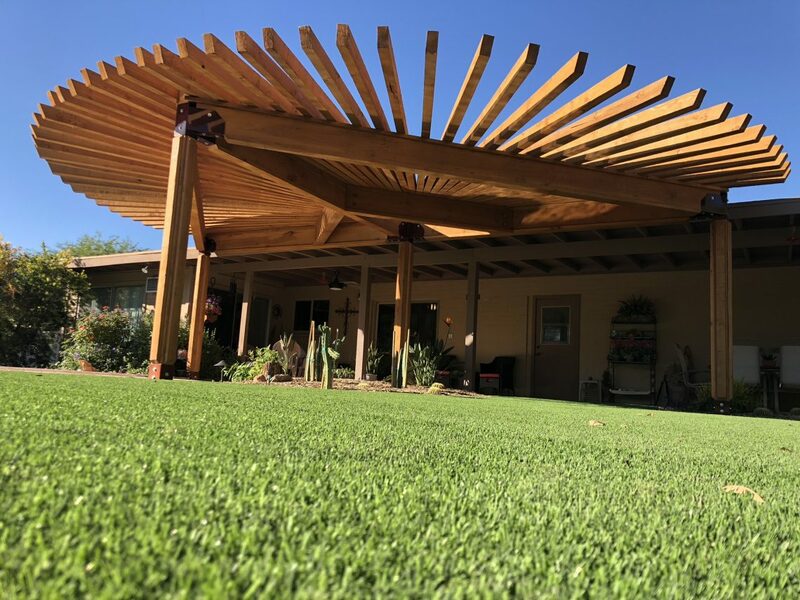 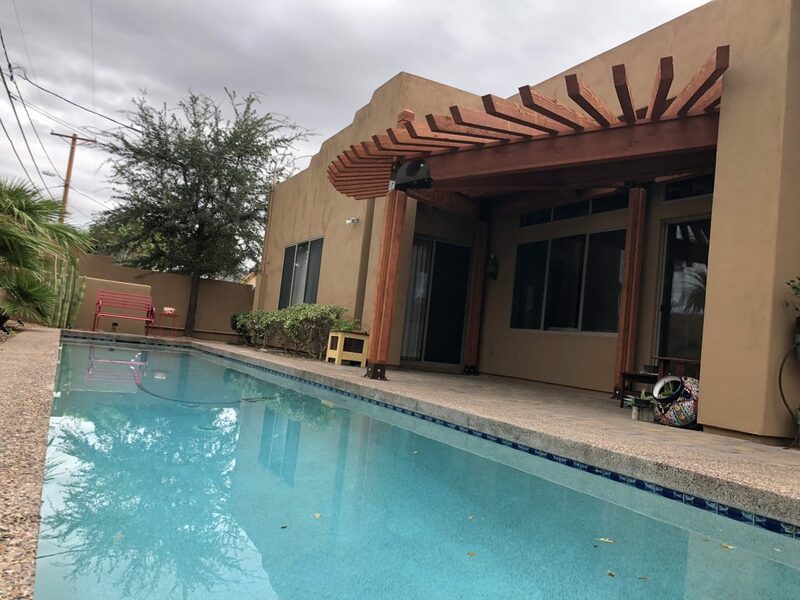 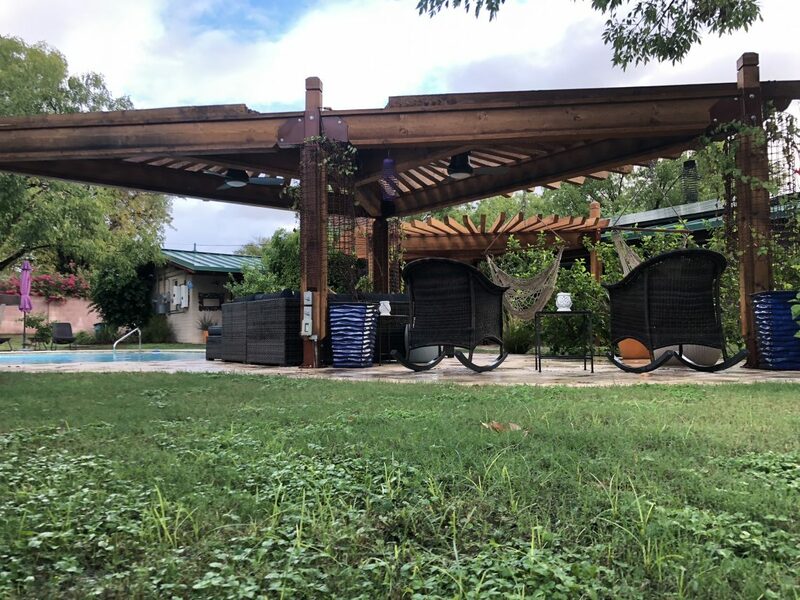 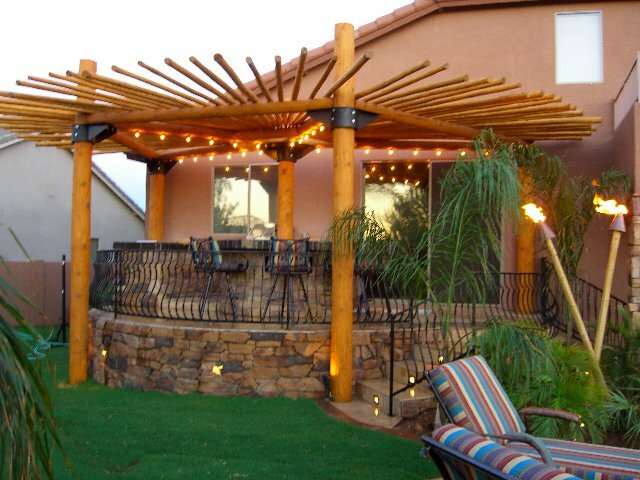 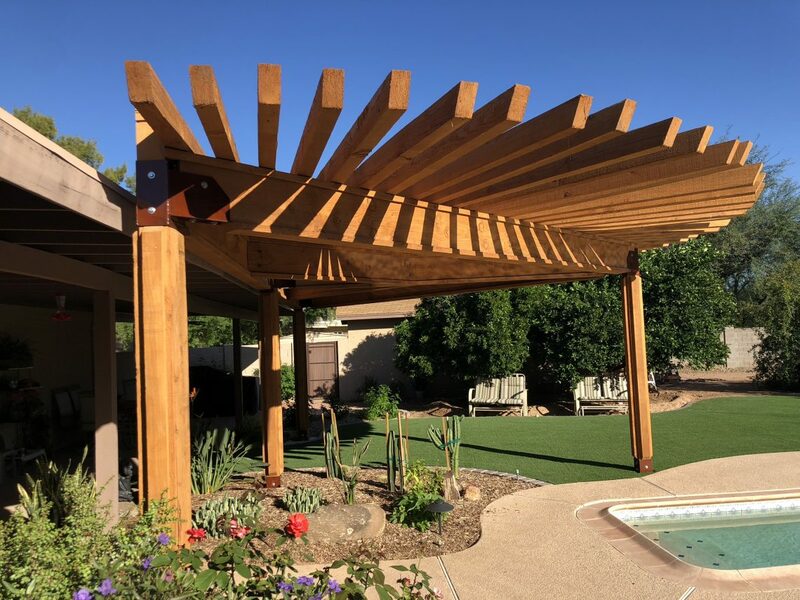 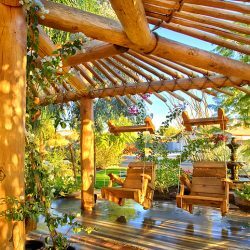 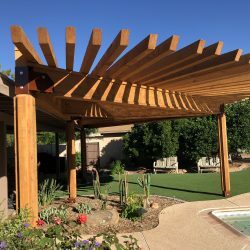 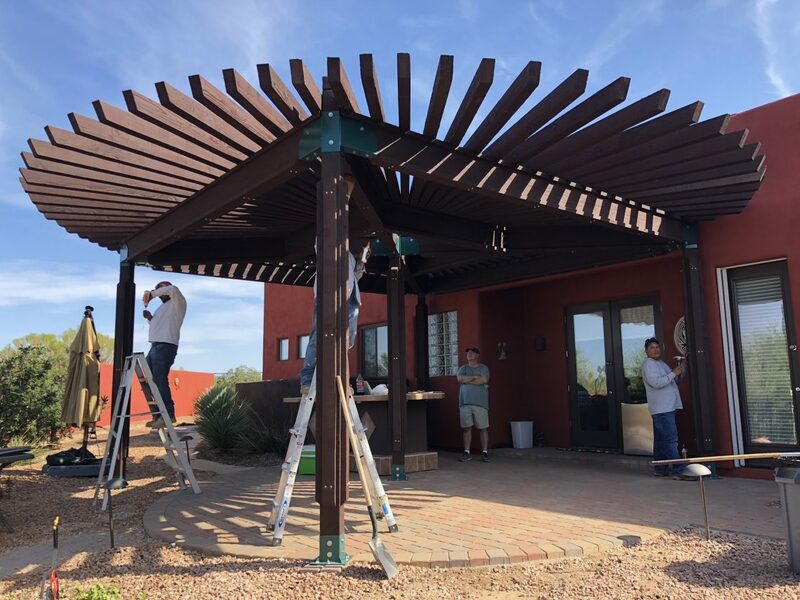 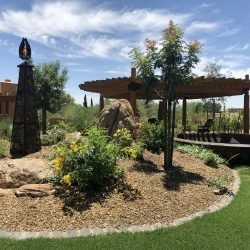 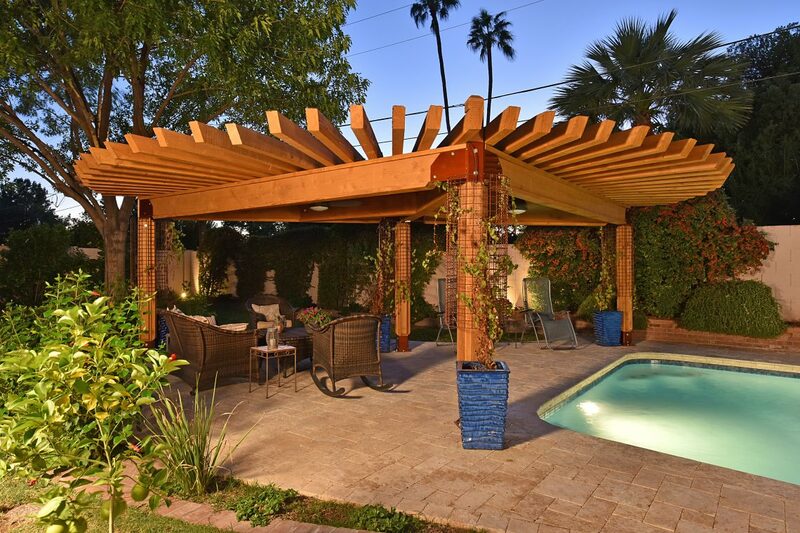 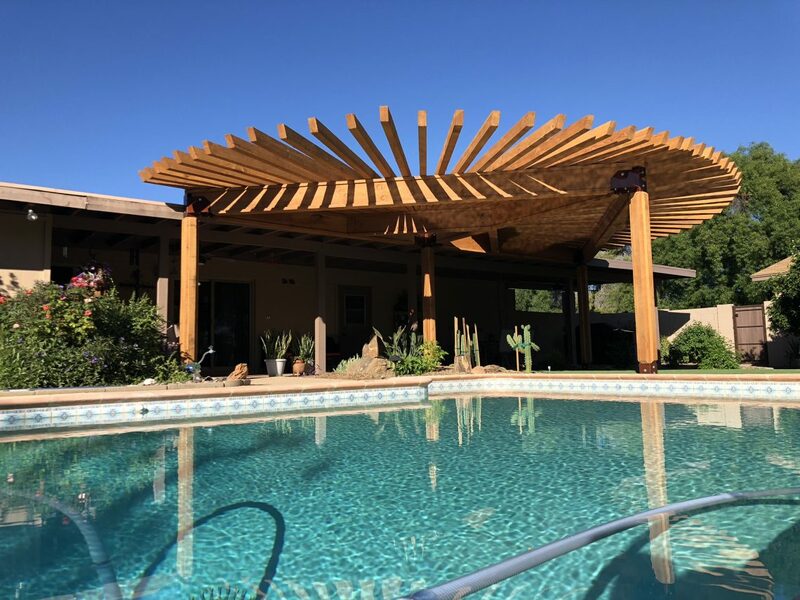 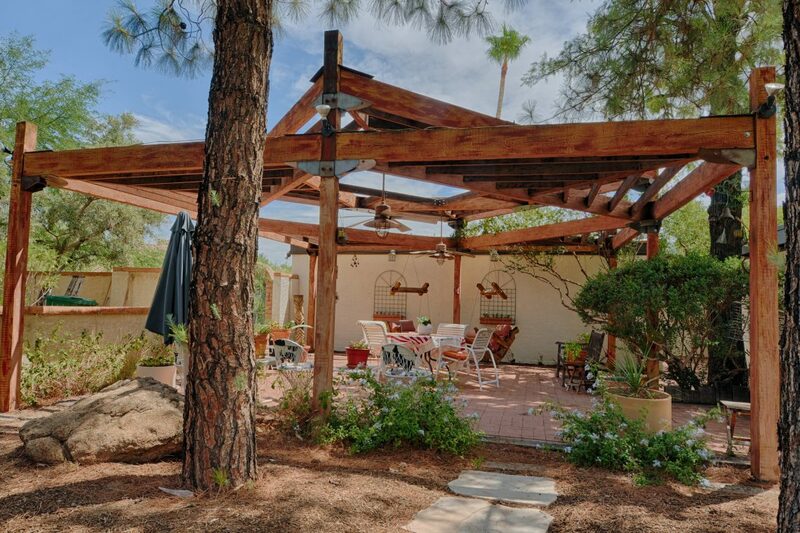 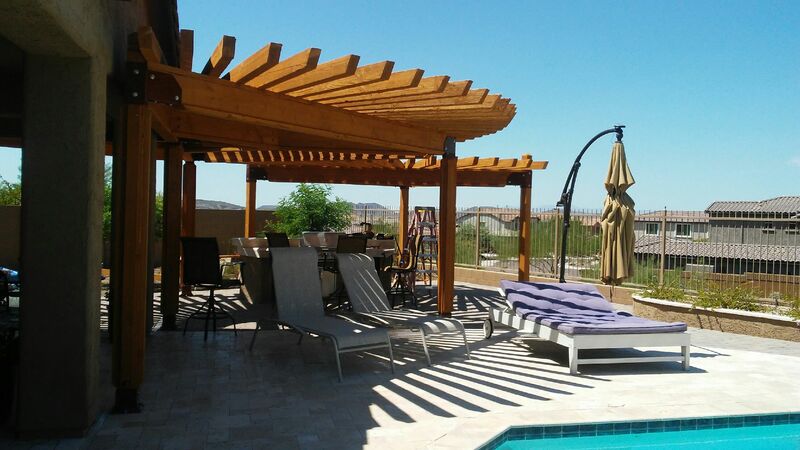 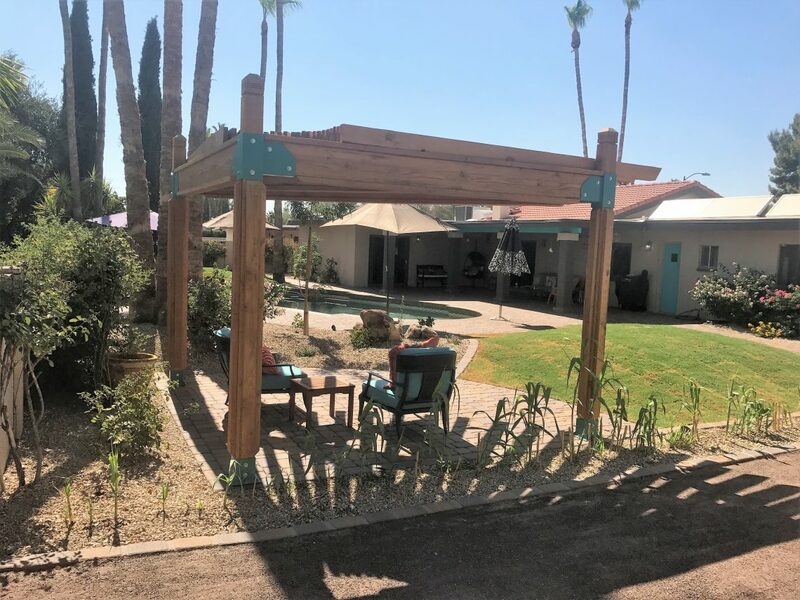 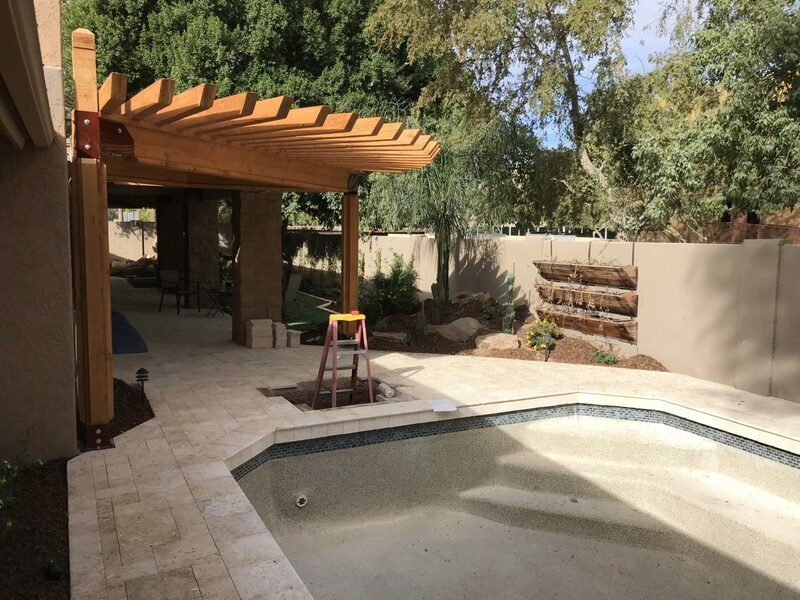 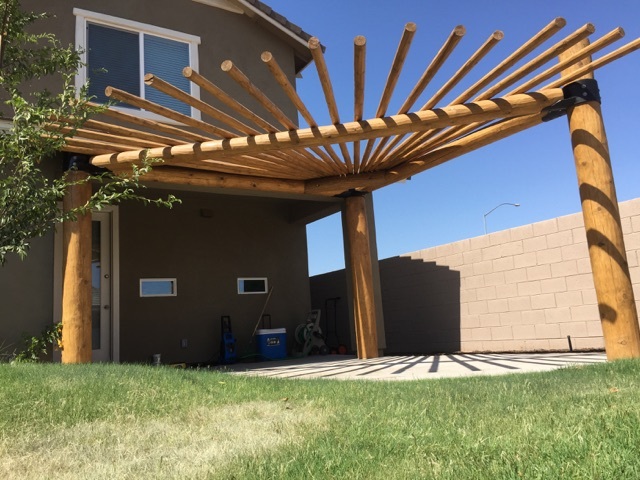 Shade structures are almost a requirement for every outdoor living area as reprieve from the Arizona sun is always appreciated and necessary. 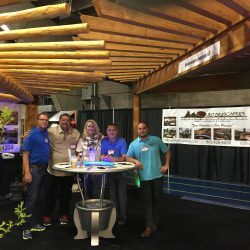 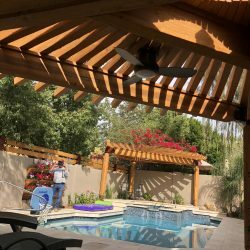 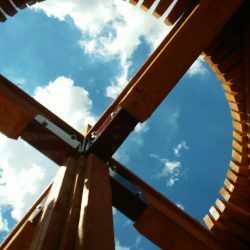 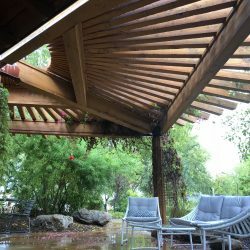 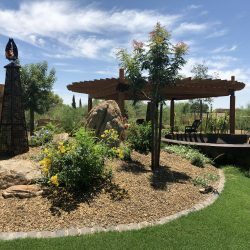 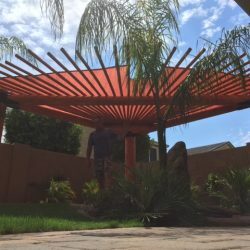 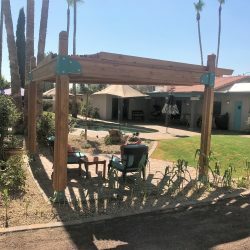 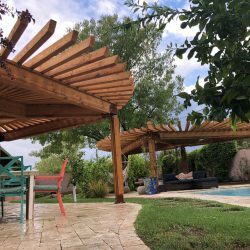 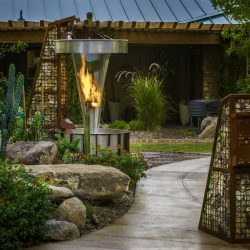 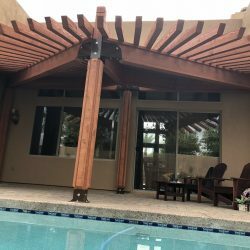 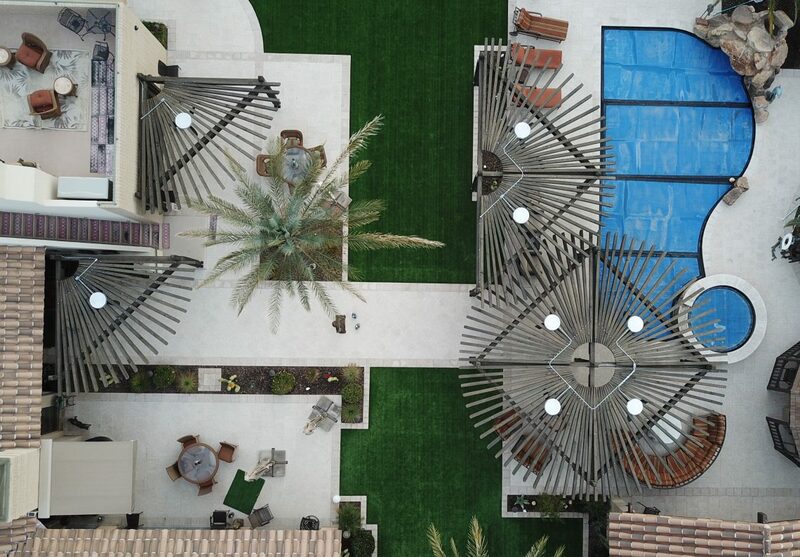 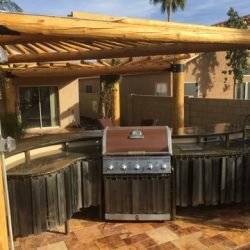 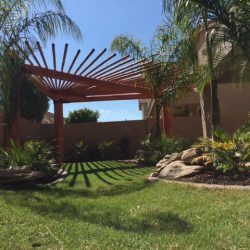 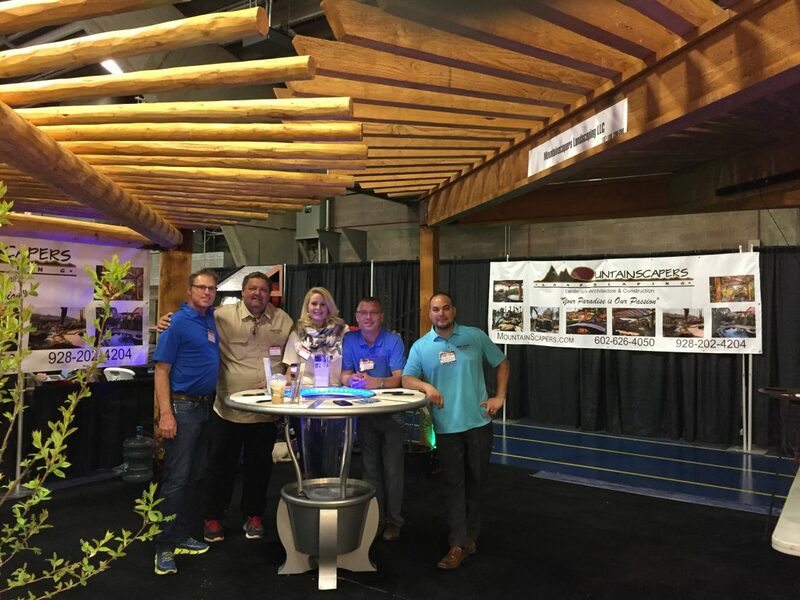 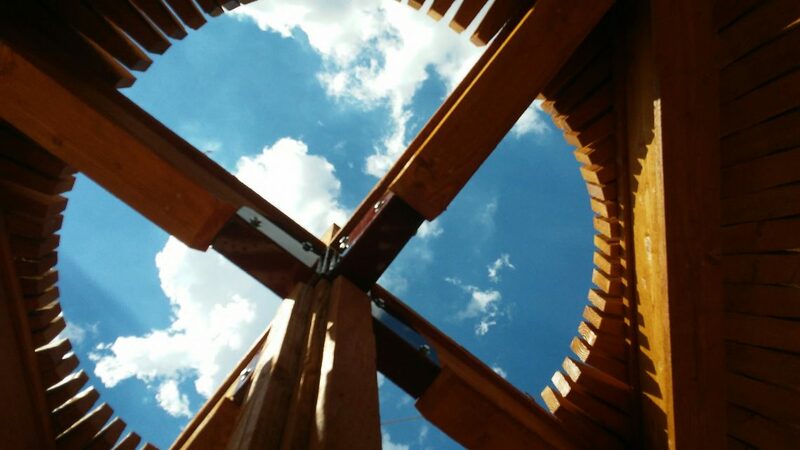 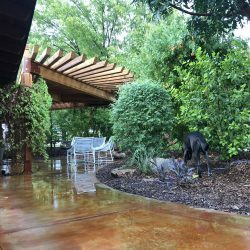 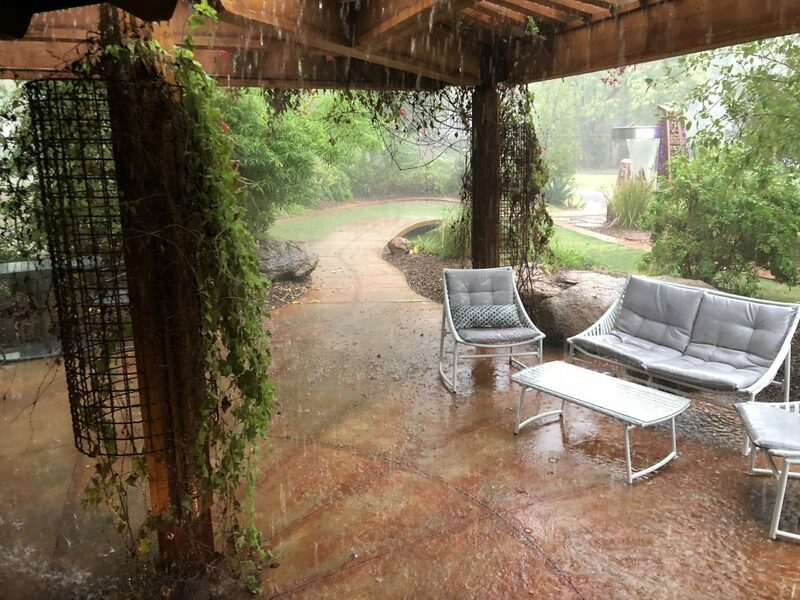 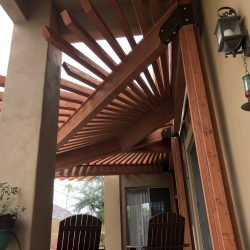 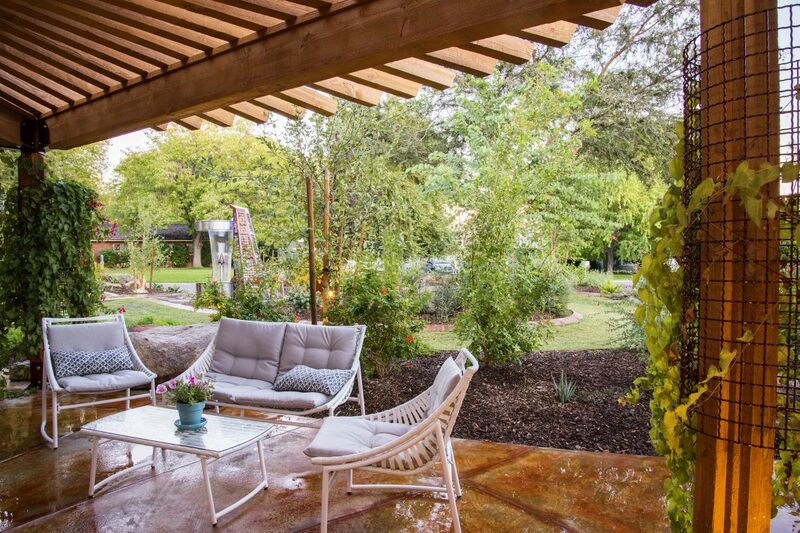 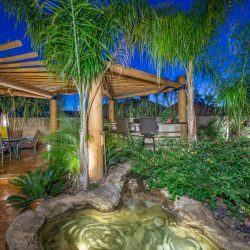 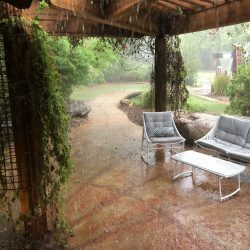 Sean creates one-of-a-kind hand-crafted shade structures that are carefully designed with your particular landscaping motif in mind and to your unique specifications. 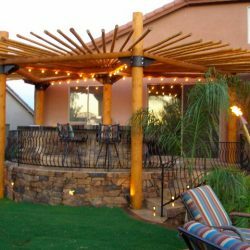 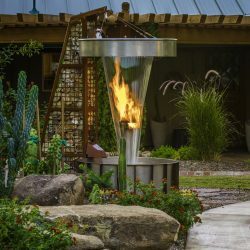 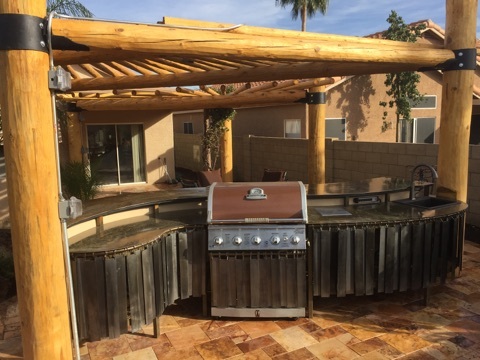 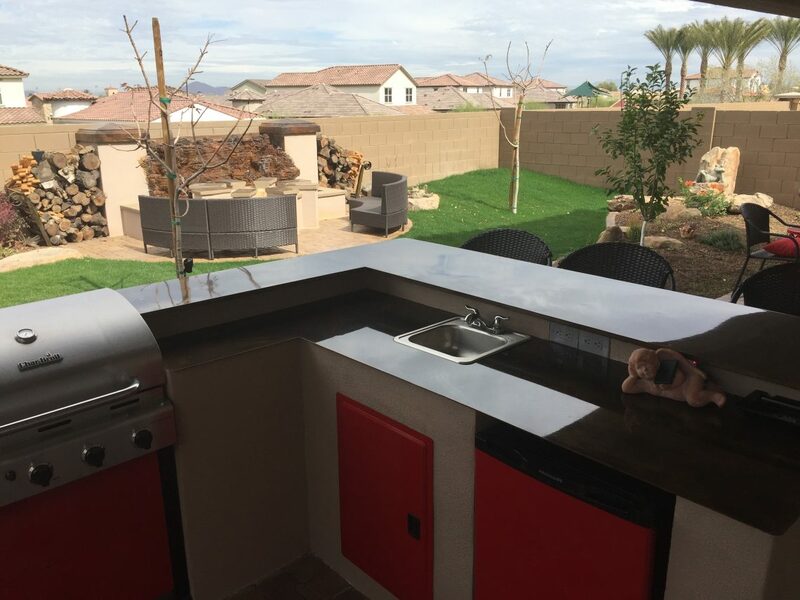 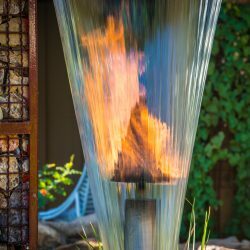 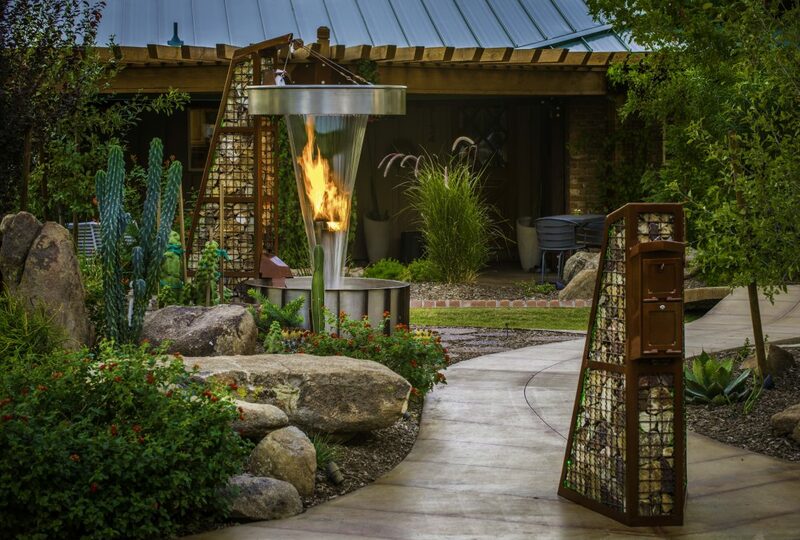 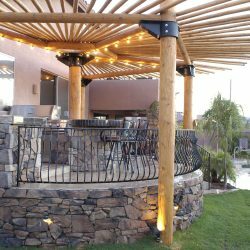 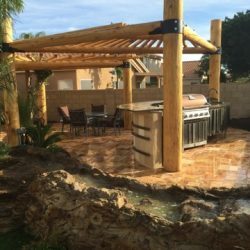 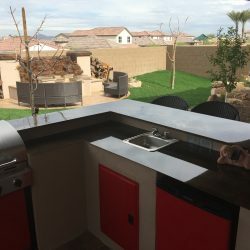 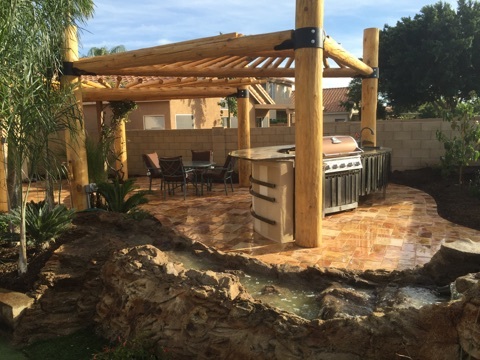 These beautiful structures are a great way to showcase an outdoor kitchen, a relaxing patio, or even a quiet oasis built for a private escape. 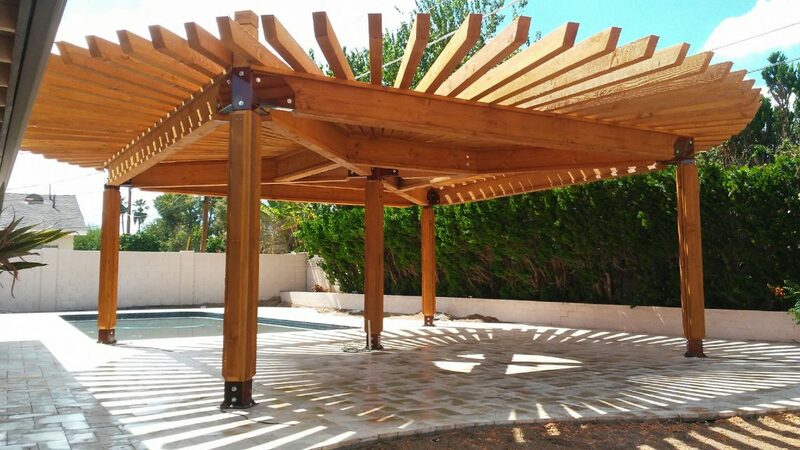 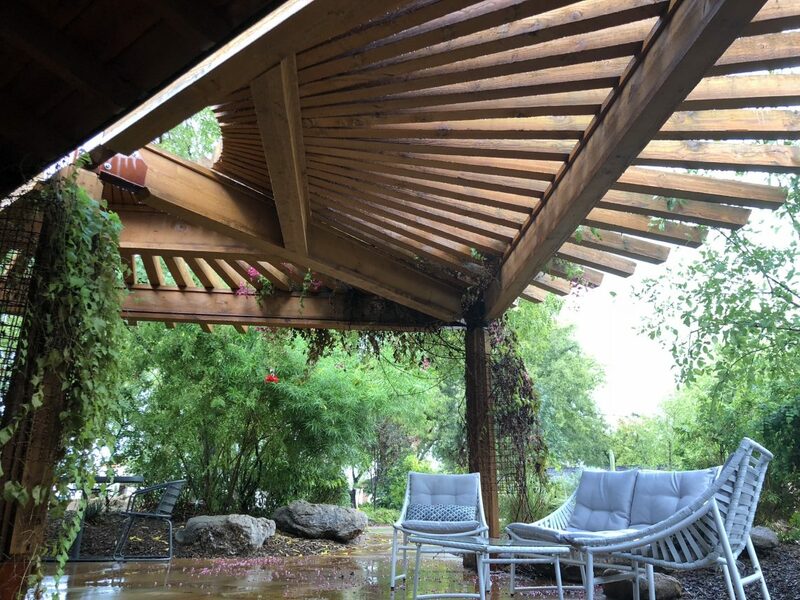 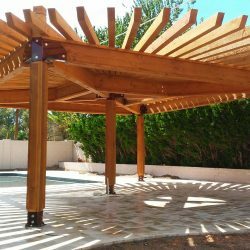 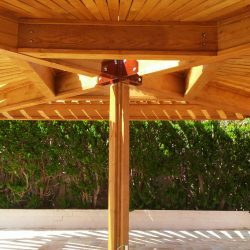 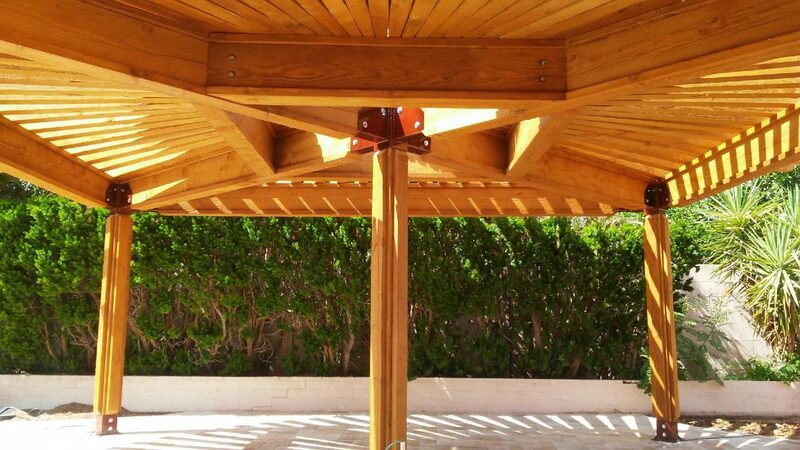 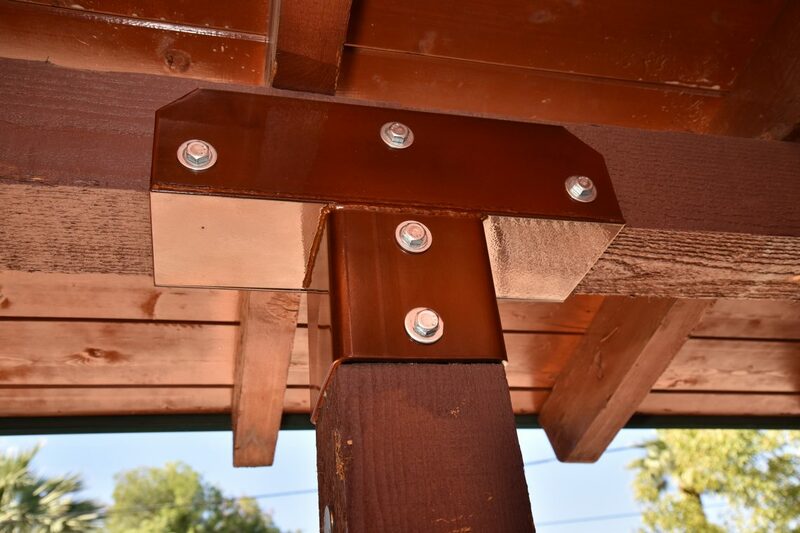 Our custom designed shade structures are constructed from solid wood and are reinforced with steel brackets for years of durability. 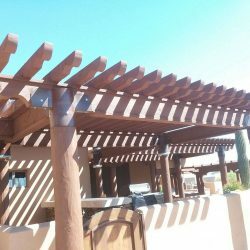 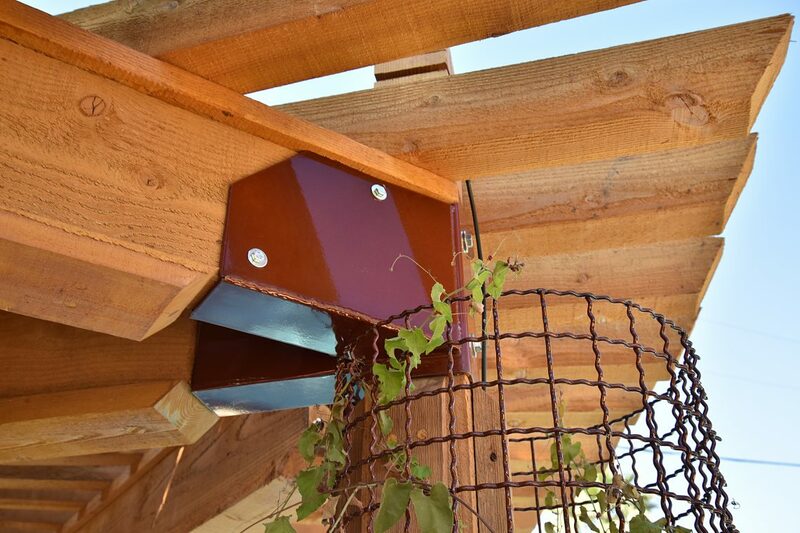 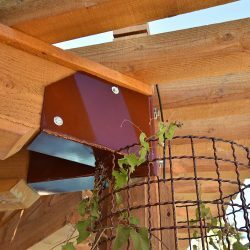 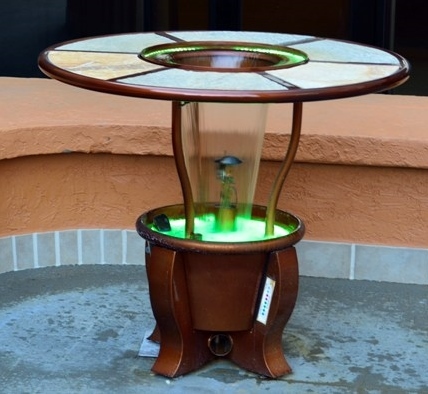 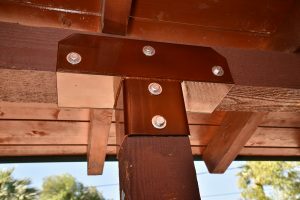 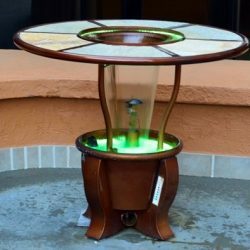 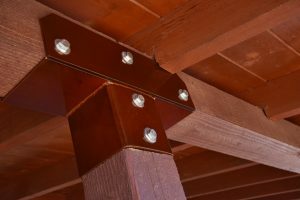 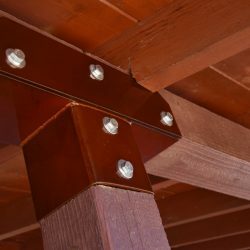 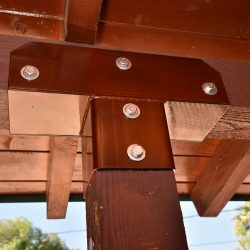 The wood can be stained any color and the steel brackets can be powder coated with your choice of colors to match your home’s pallet. 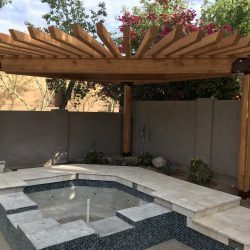 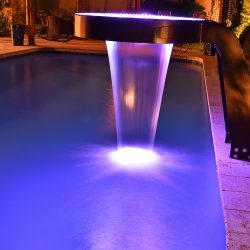 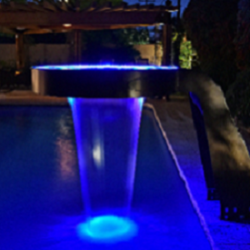 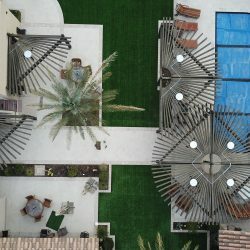 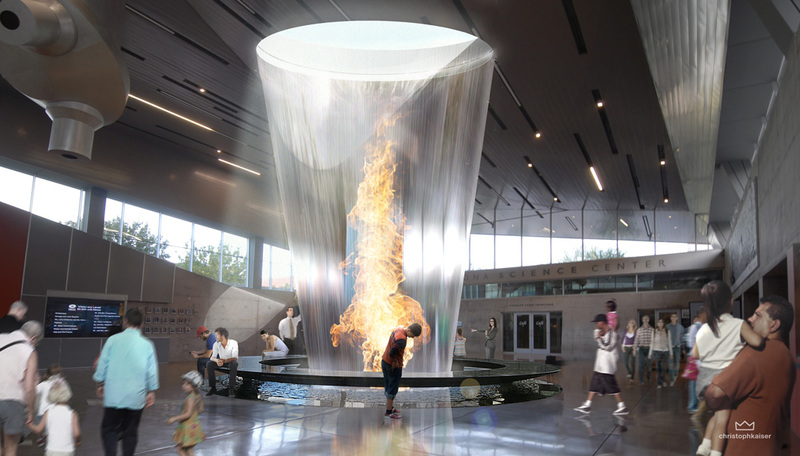 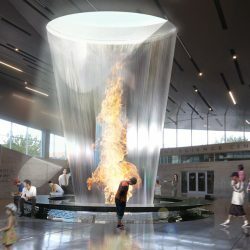 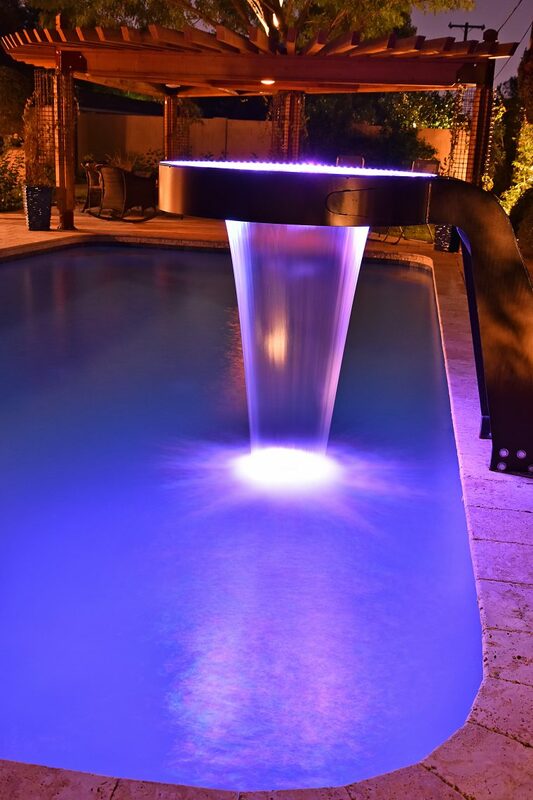 One 360 degree structure to be the main focal point for gathering, but placed it so that it covered parts of his pool and spa and will provide shade during the summer when the temperature rises. 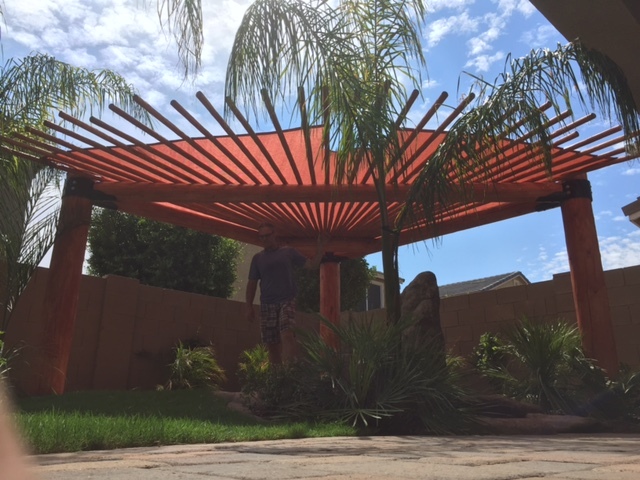 ” Sean was a pleasure to work with. 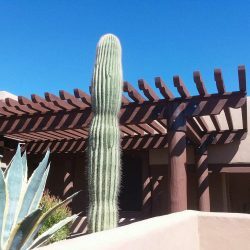 He came out promptly and after listening to what we were thinking, had the plans drawn up. 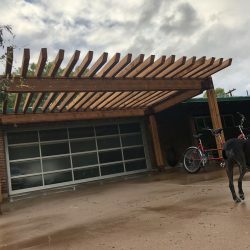 We put in 4 pergolas. 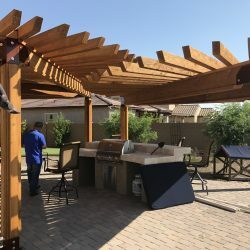 Sean made the project very easy on us and all his workers were very professional. 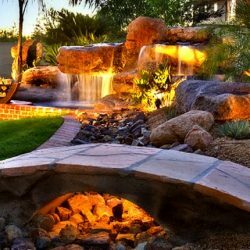 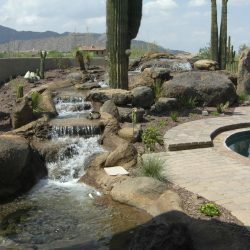 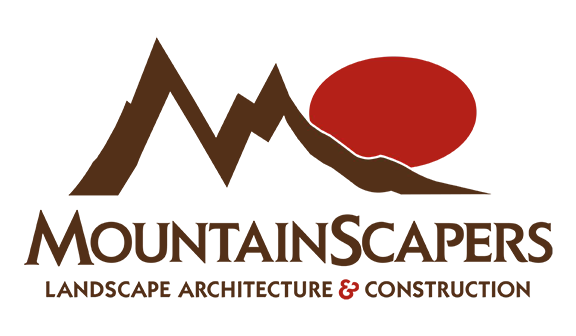 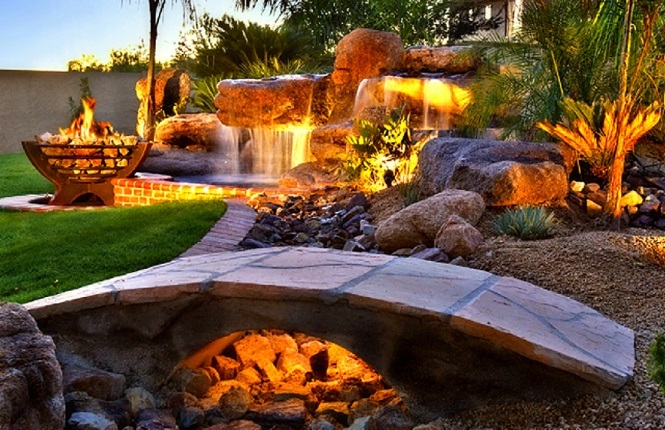 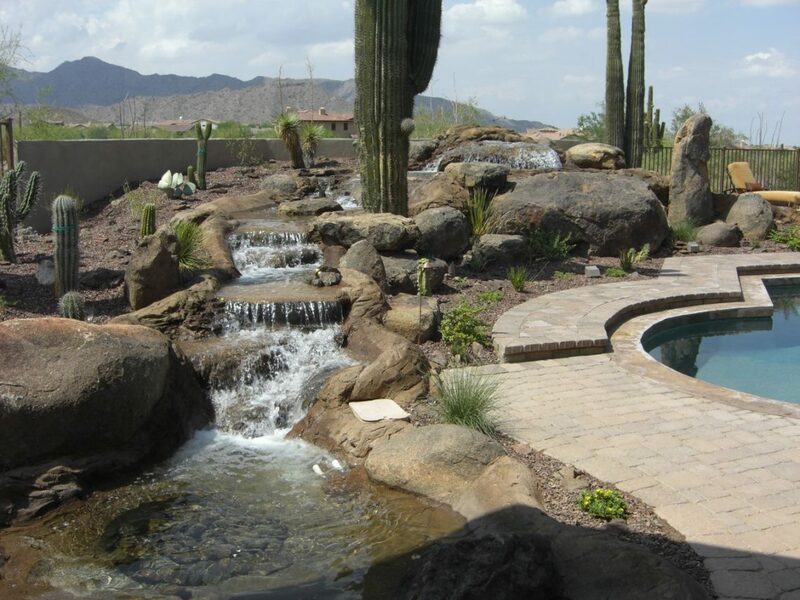 In the future I would recommend Mountainscapers Landscaping for any of your landscaping needs.” – Tom P.
I wanted to convert my ugly yard with nothing but right angles to curves and organic shapes. 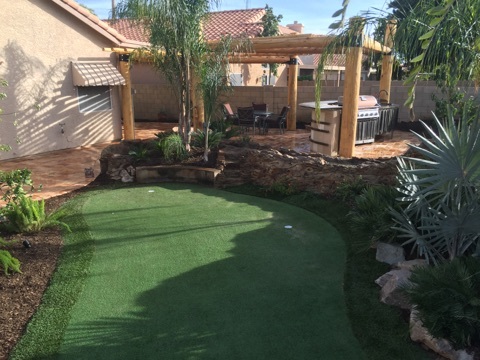 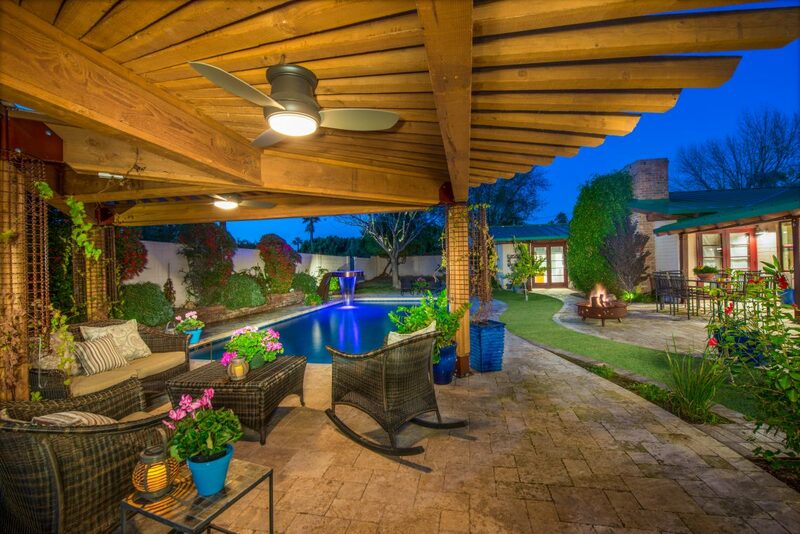 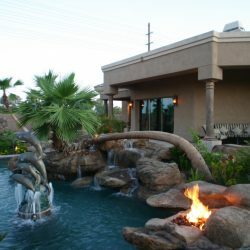 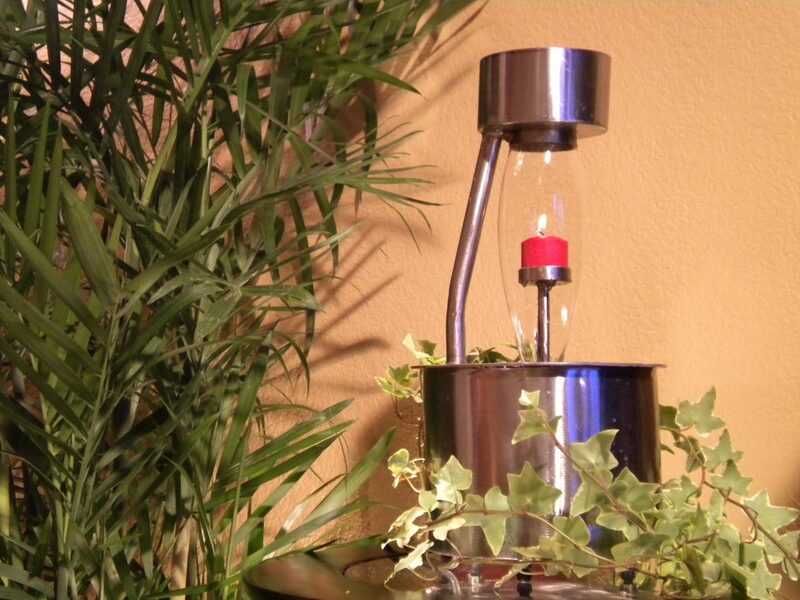 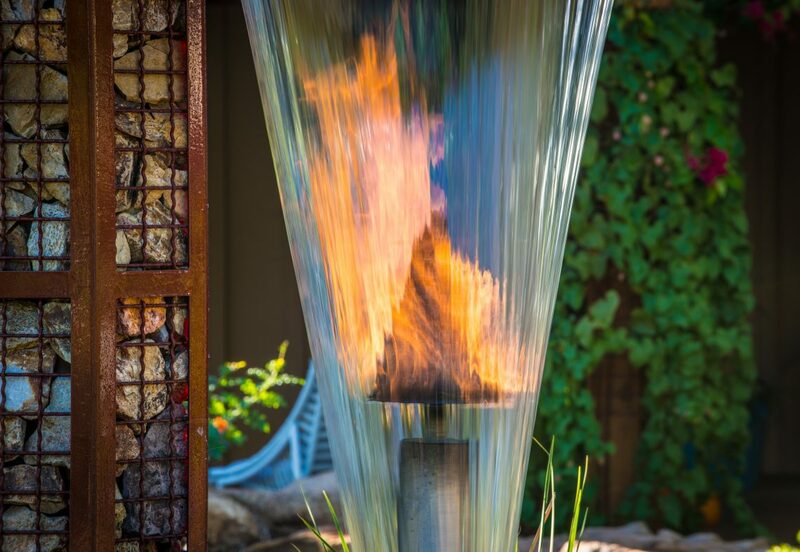 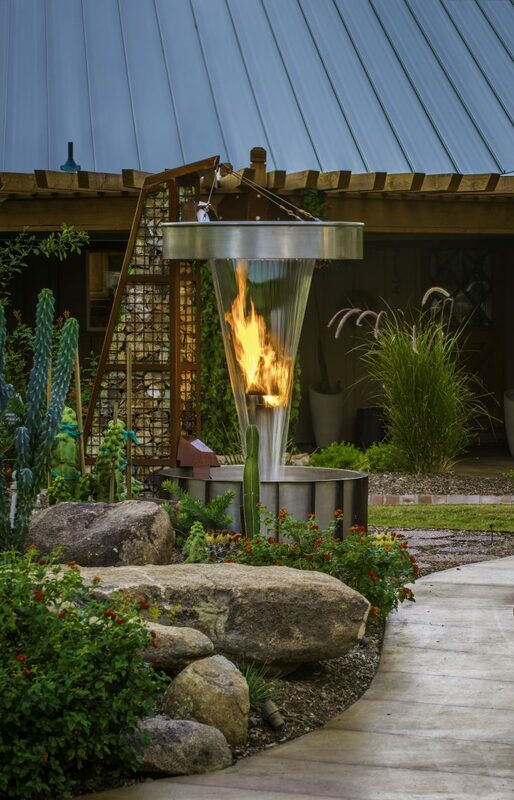 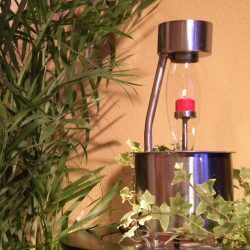 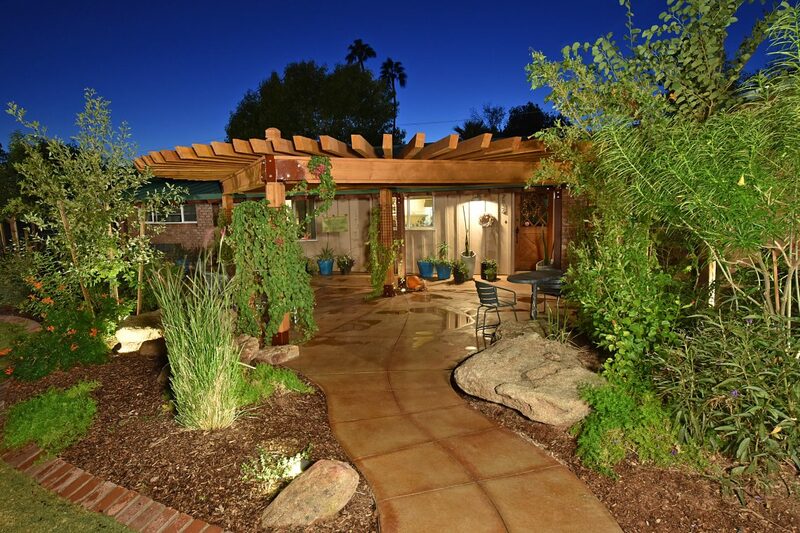 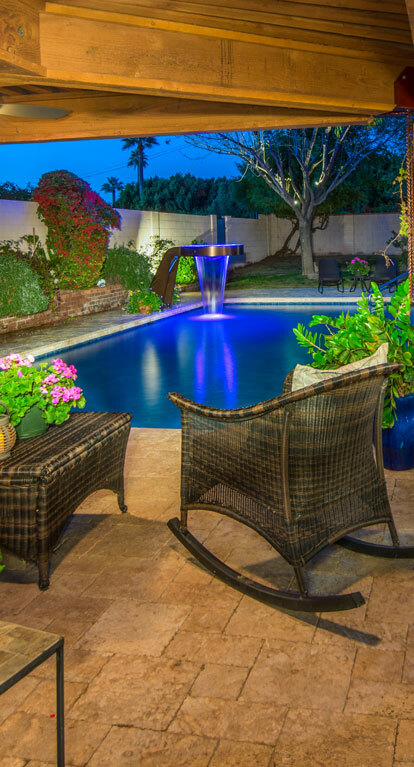 Sean worked with me and converted my concepts and desires into reality – no longer just a yard. 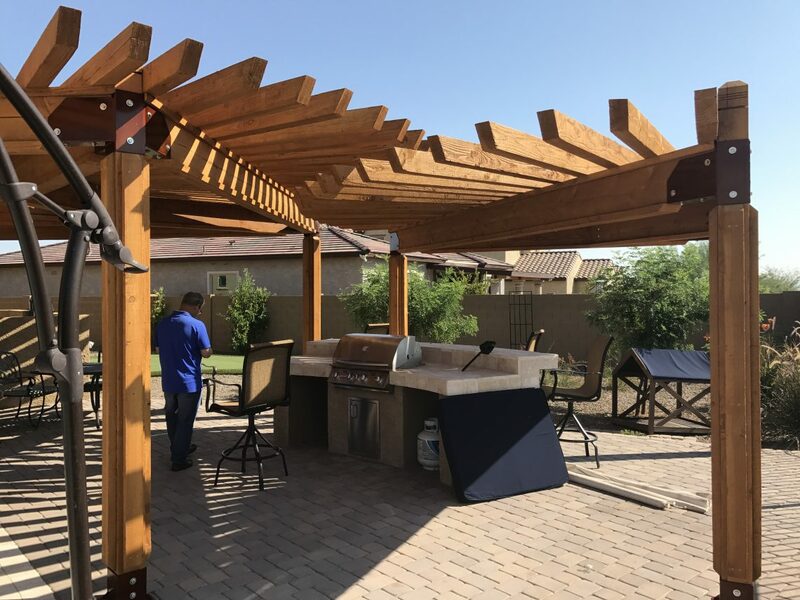 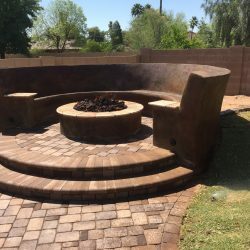 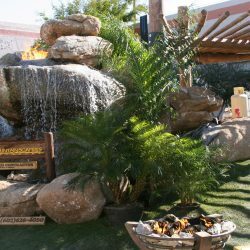 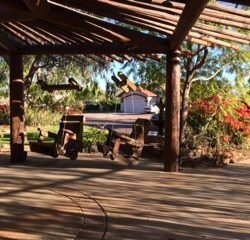 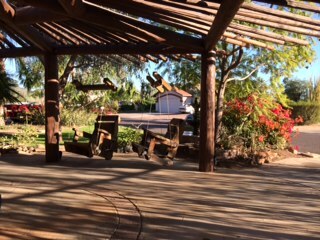 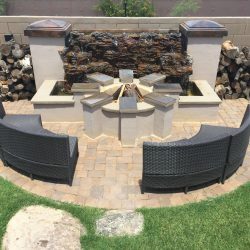 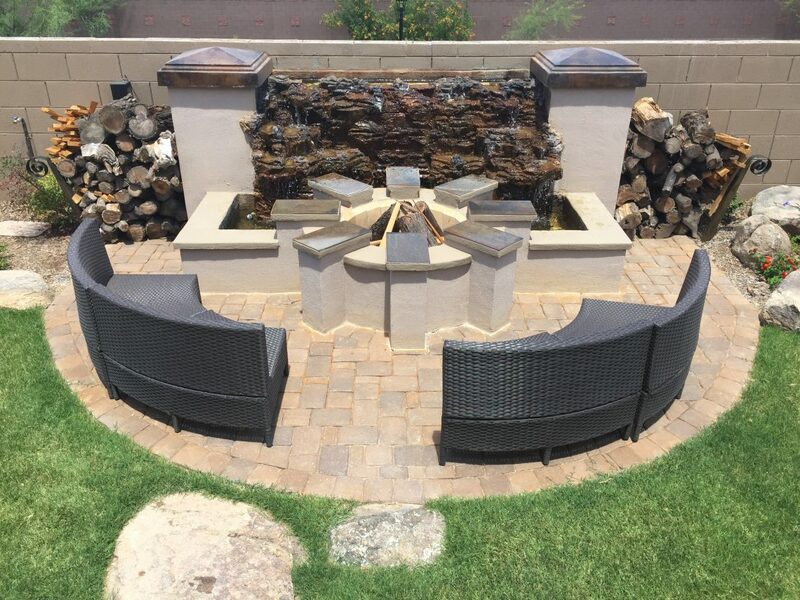 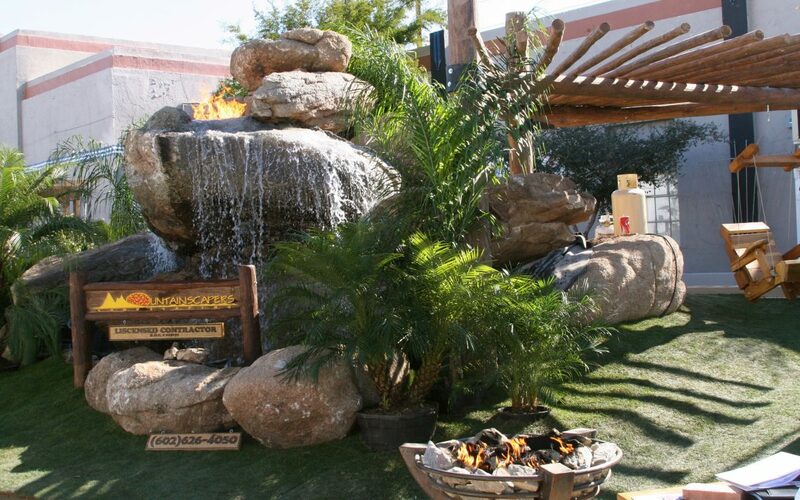 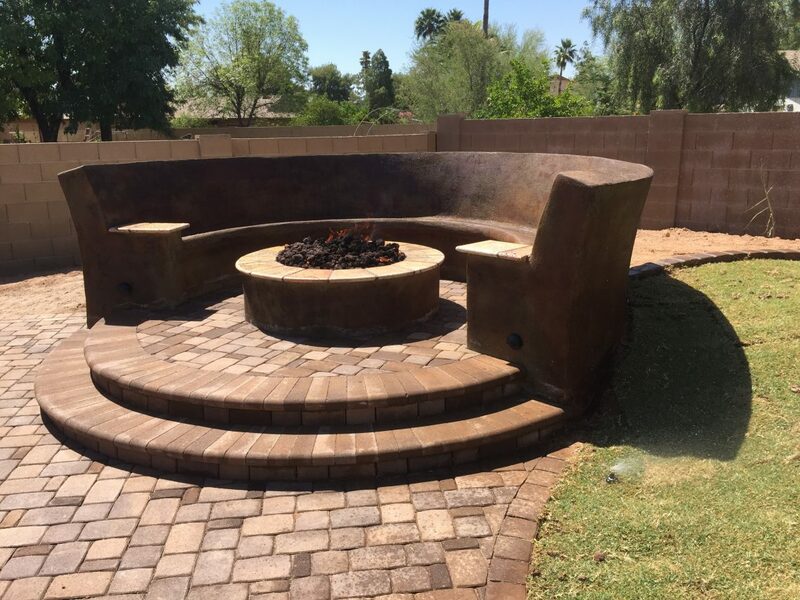 It’s my “outside office” and a space we now use 10 months out of the year.” Keith T.
Enjoy year round outdoor entertainment and create memories when you combine the 360 shade structure with a signature tiki torch and custom fire pit. 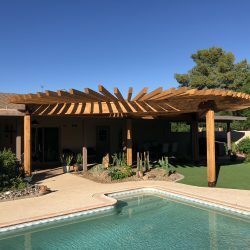 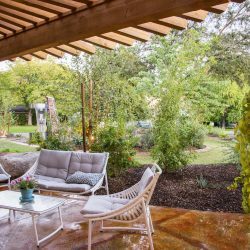 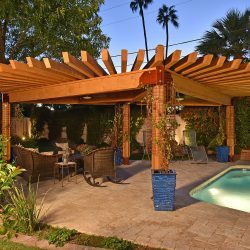 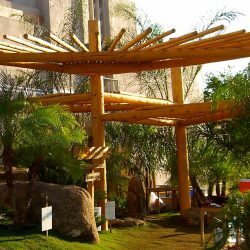 We also design and build more traditional shade structures – and can fashion a structure that will be custom to your home.